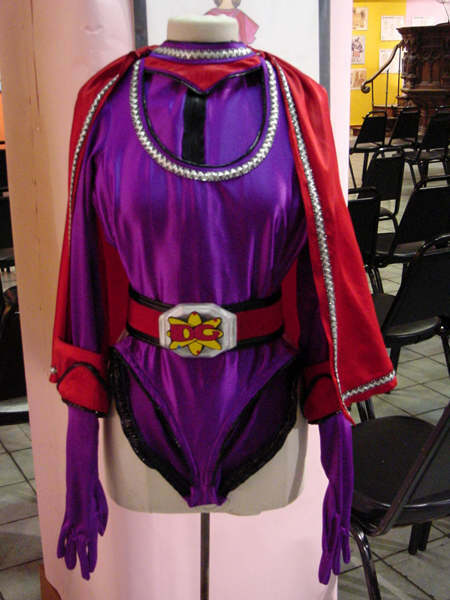 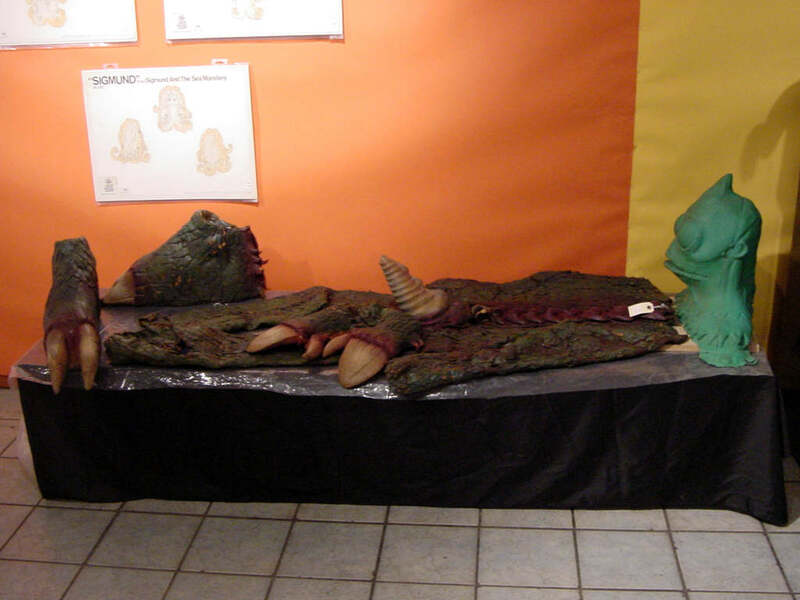 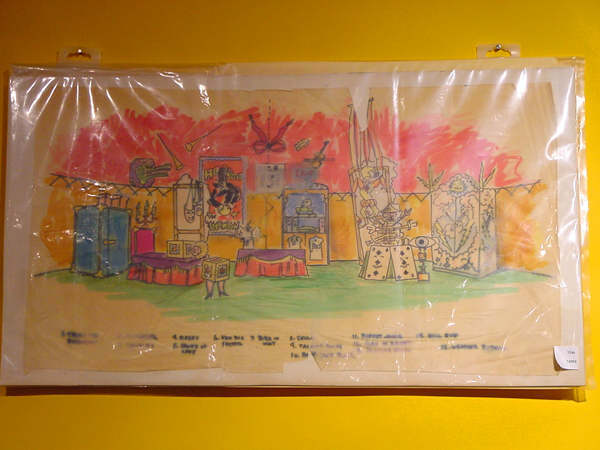 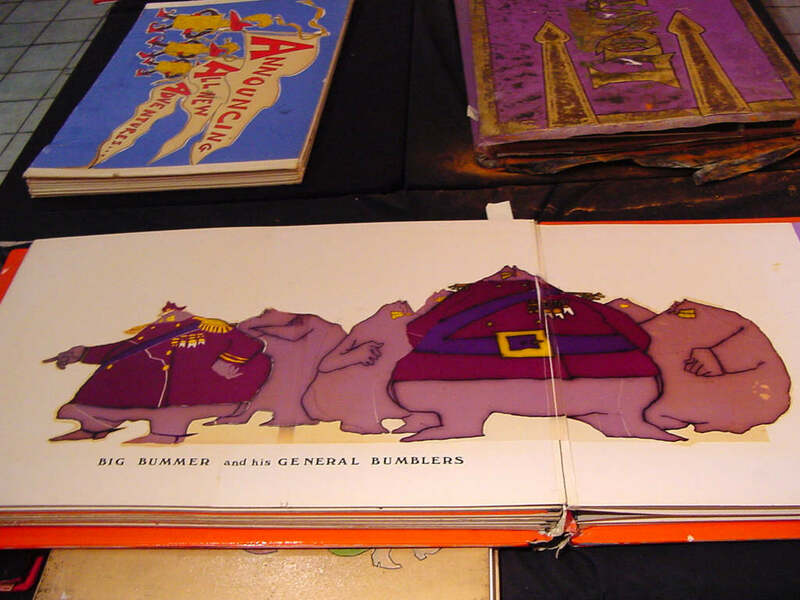 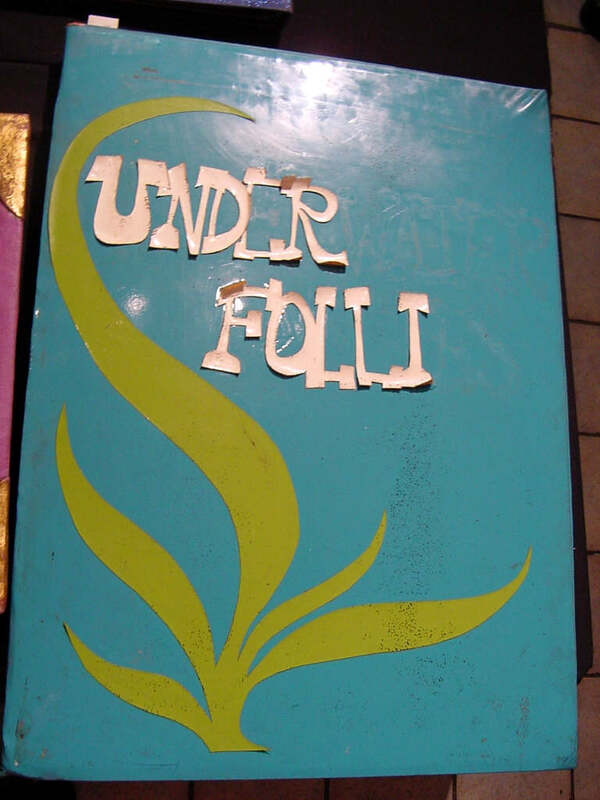 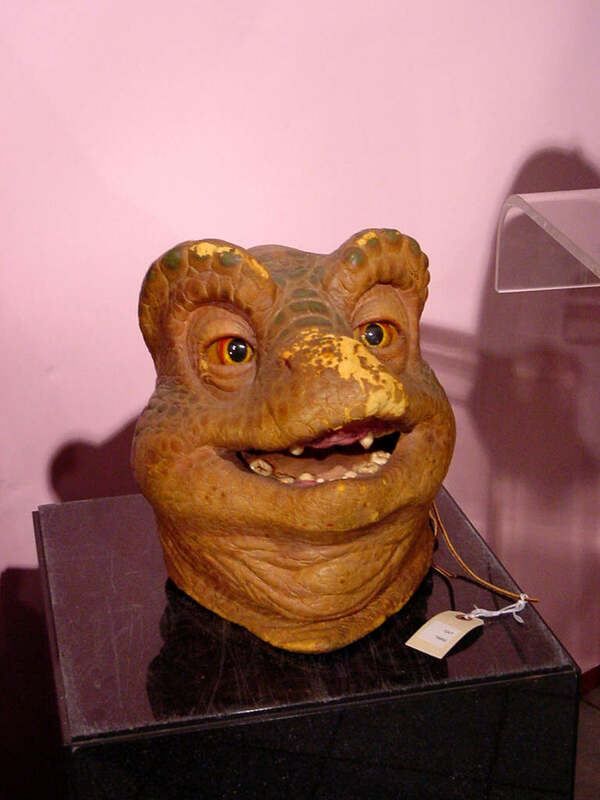 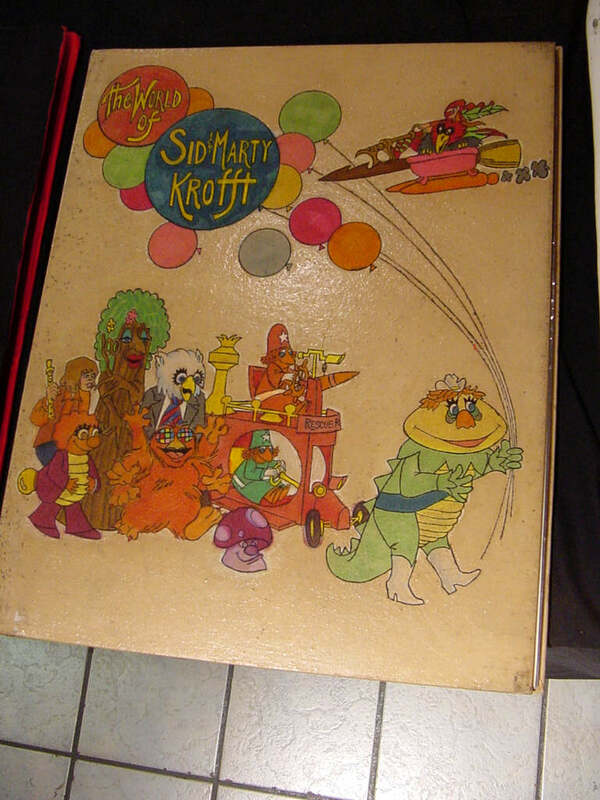 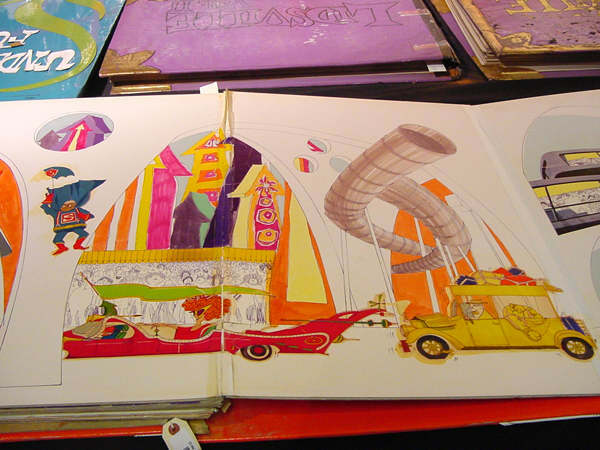 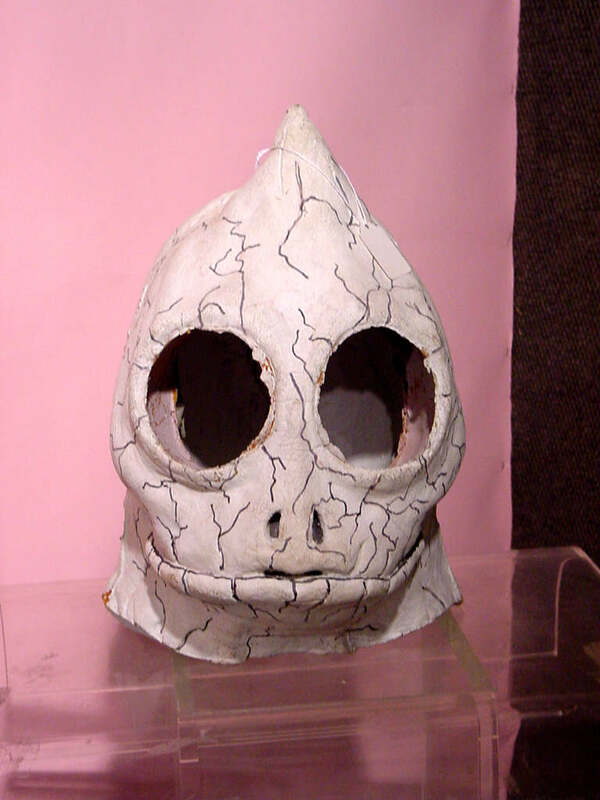 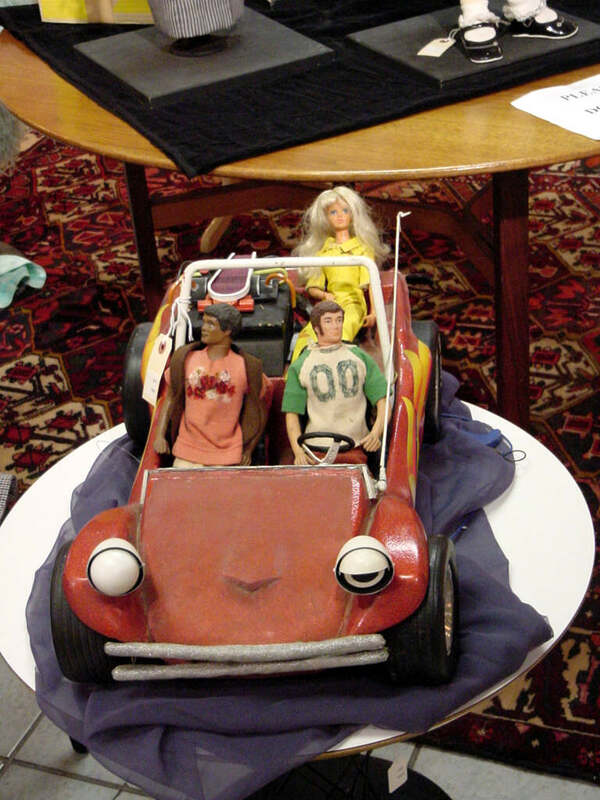 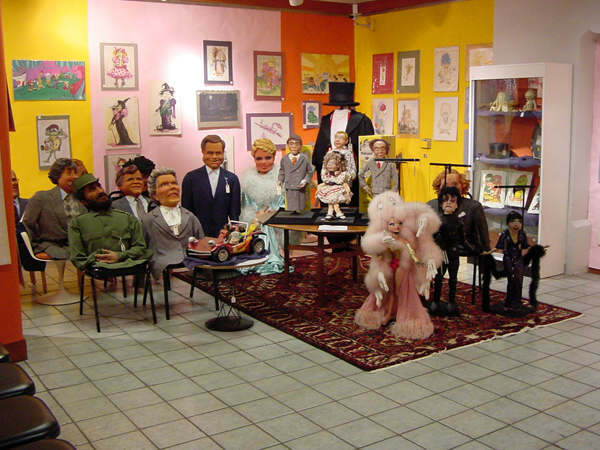 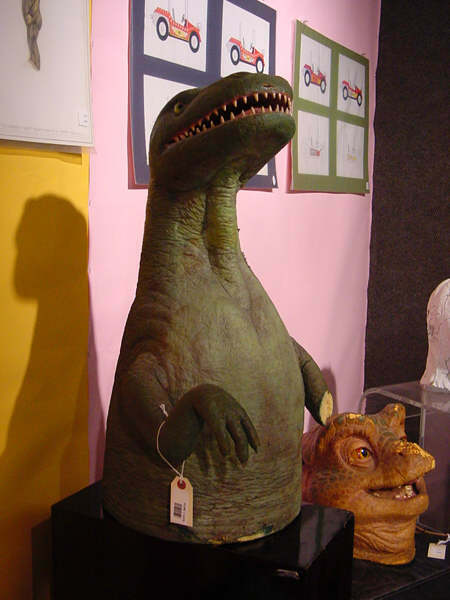 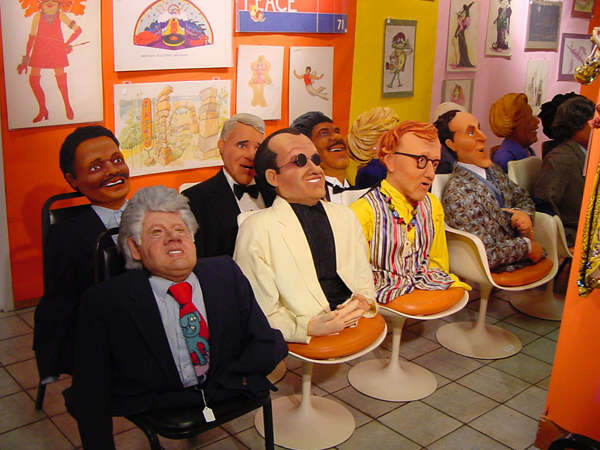 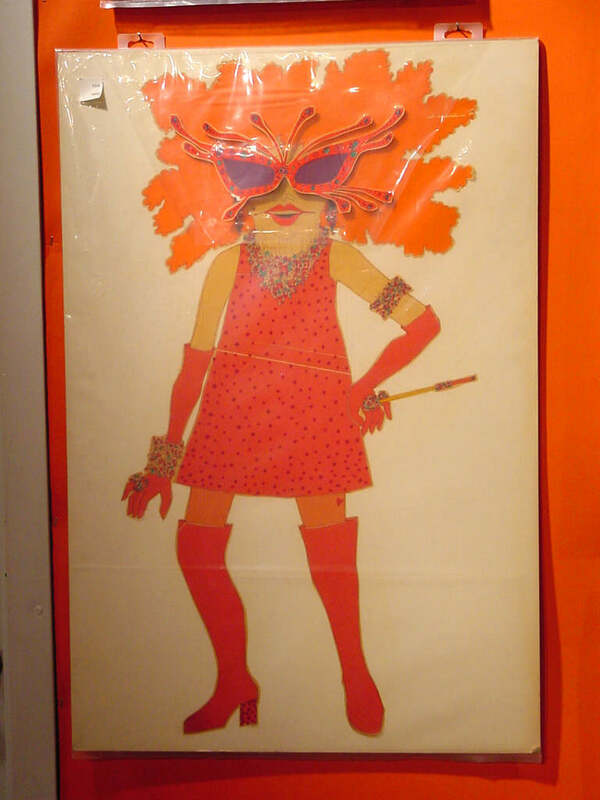 The "once in a lifetime" Krofft memorabilia auction took place on August 23rd, 1998. 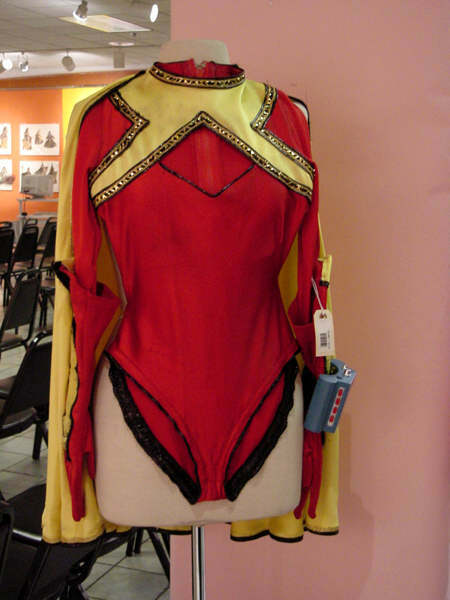 Apparently, lightning *does* strike twice, as a second auction has been announced!! 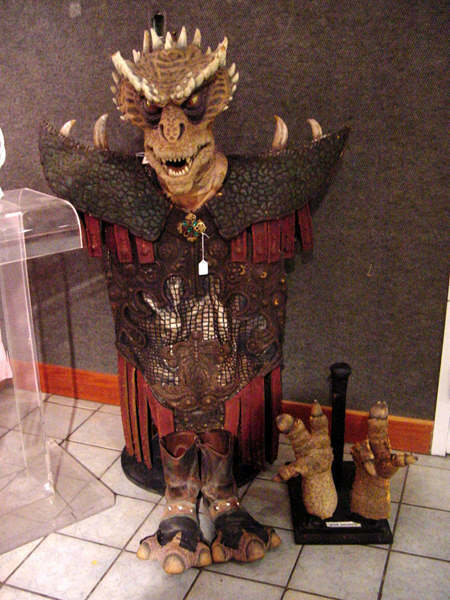 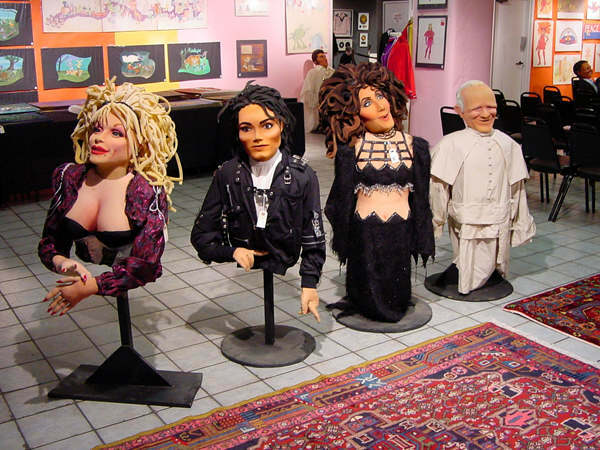 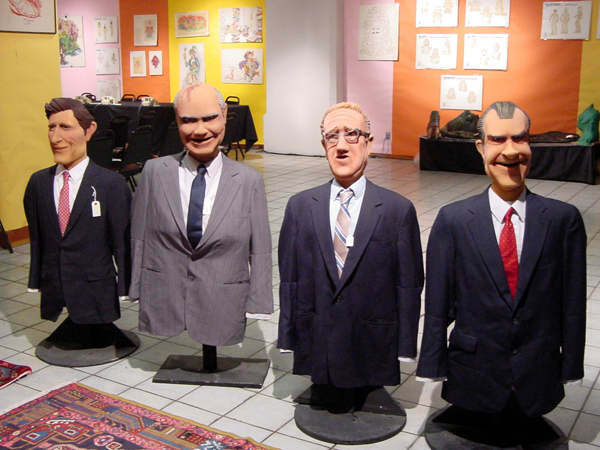 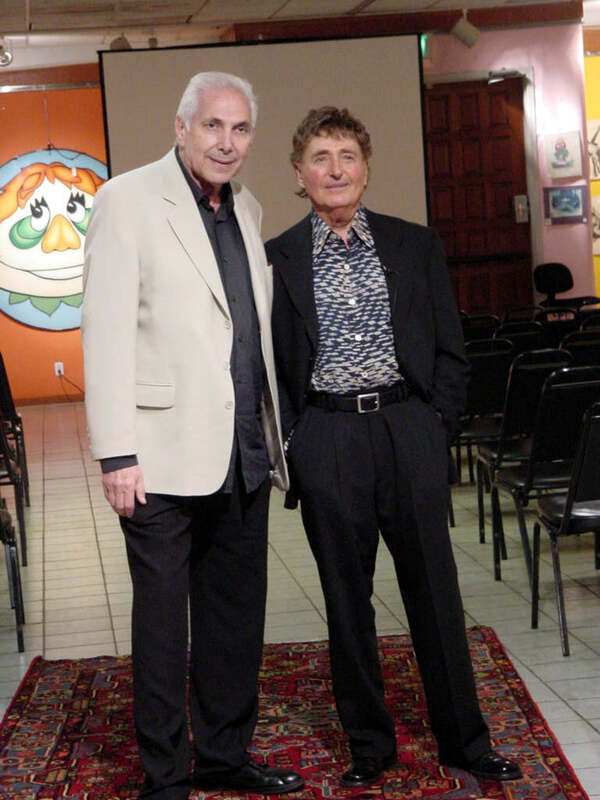 On Sunday, March 16th, 2003 ... a second Krofft Entertainment Auction will took place in Los Angeles. 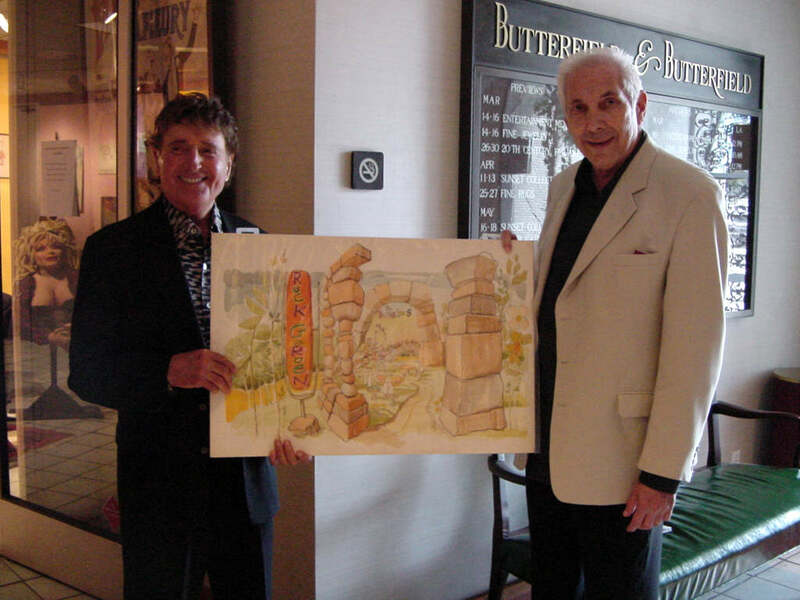 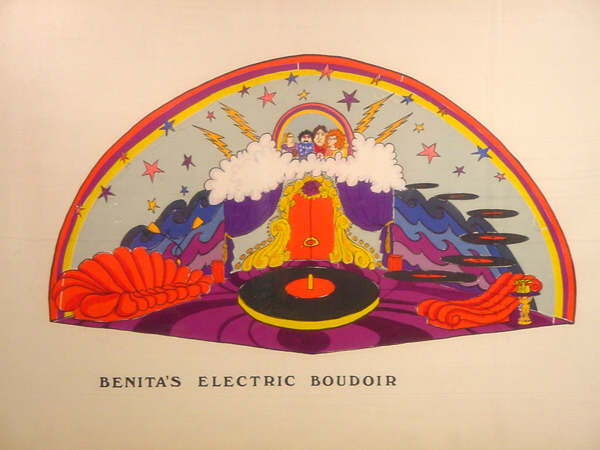 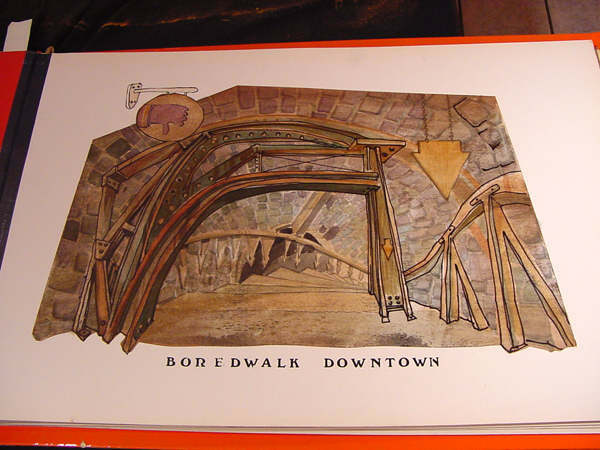 This time, it was be held by the Butterfield and Bonham folks, at their gallery off of Sunset Blvd. 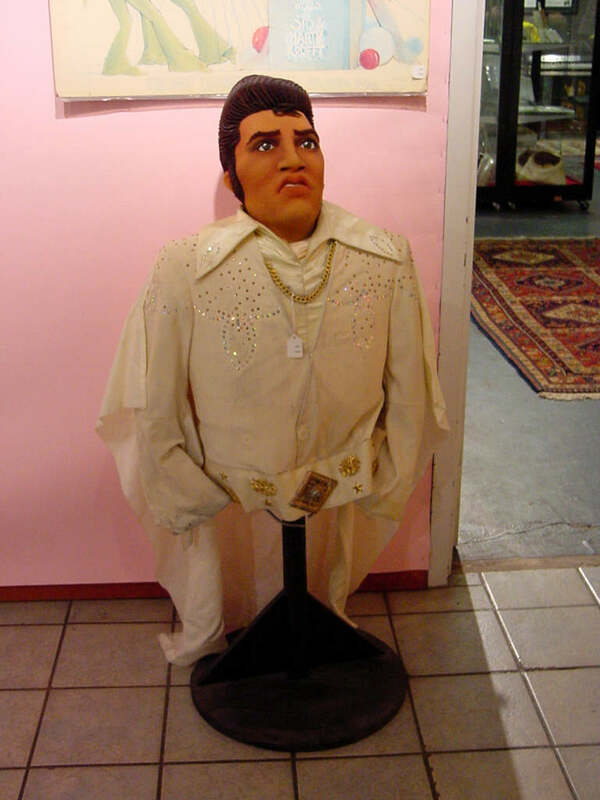 in Hollywood, CA. 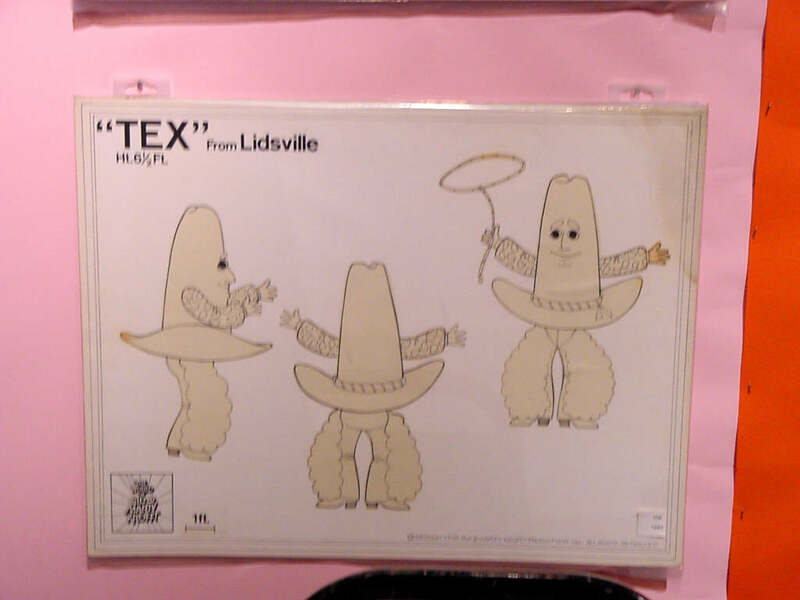 This auction contained a number of items from the previous auction, that apparently were never paid for. 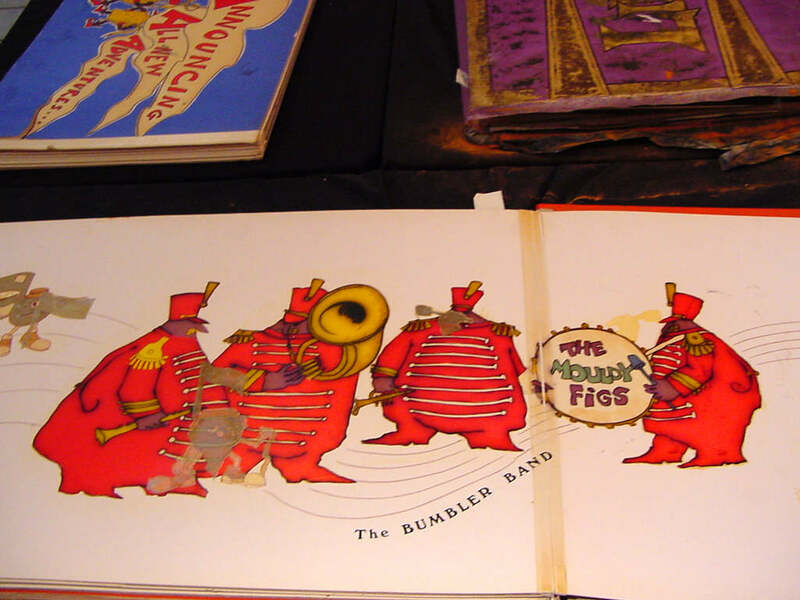 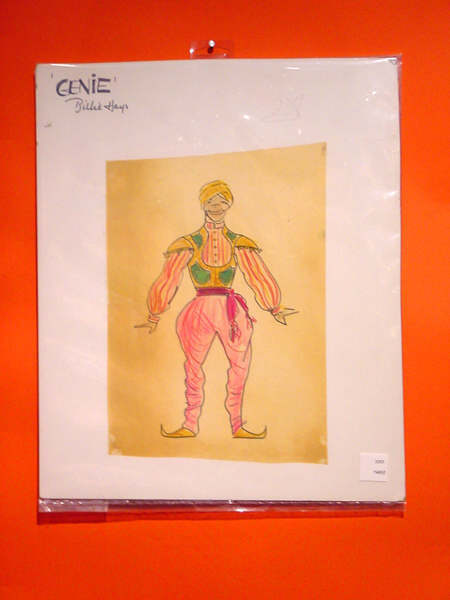 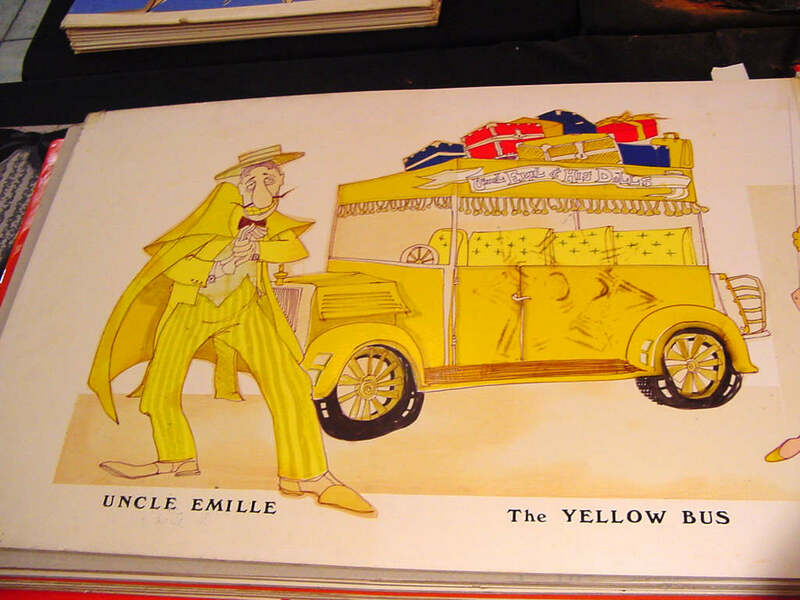 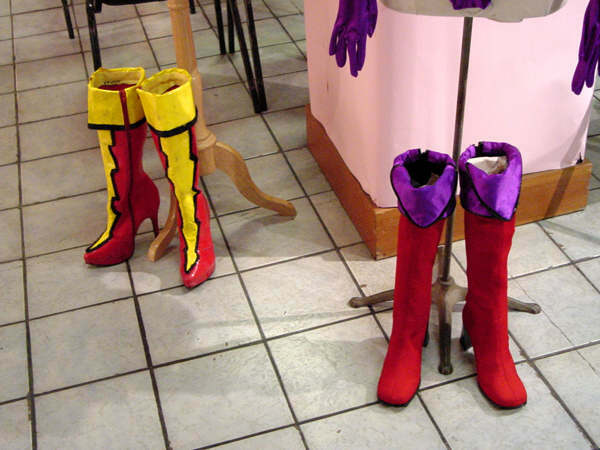 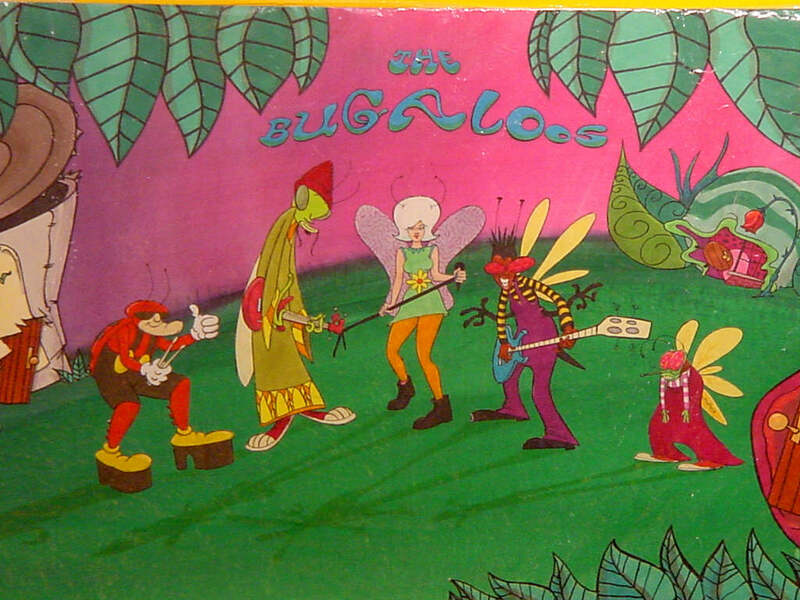 In addition, there were quite a lot of items that we had never seen before, and a lot of them were Bugaloos items!! Unfortunately, this auction was considerably smaller than the previous auction in 1998. I estimate the number of seats available to be roughly 100, whereas the previous auction easily seated 500. 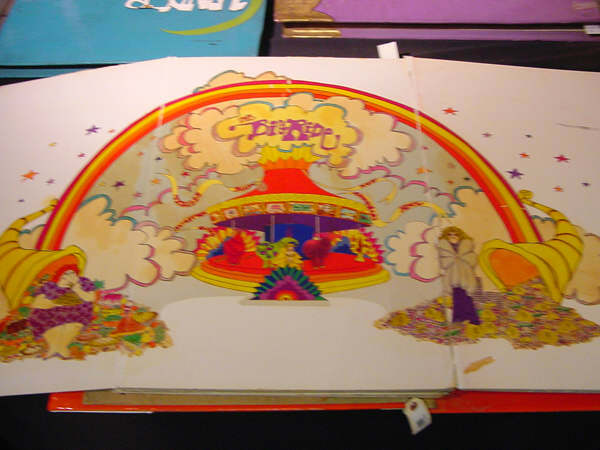 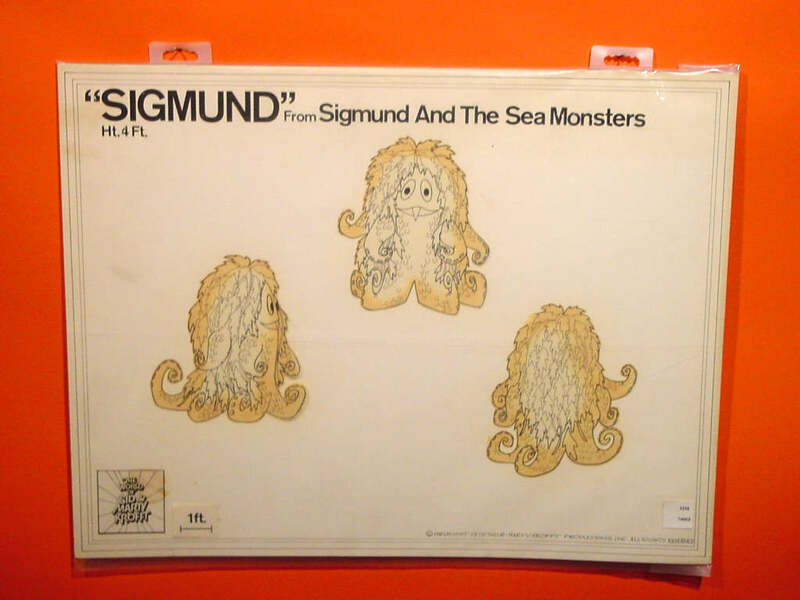 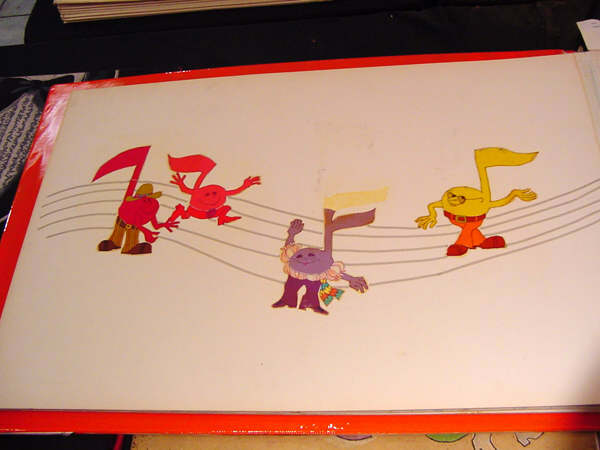 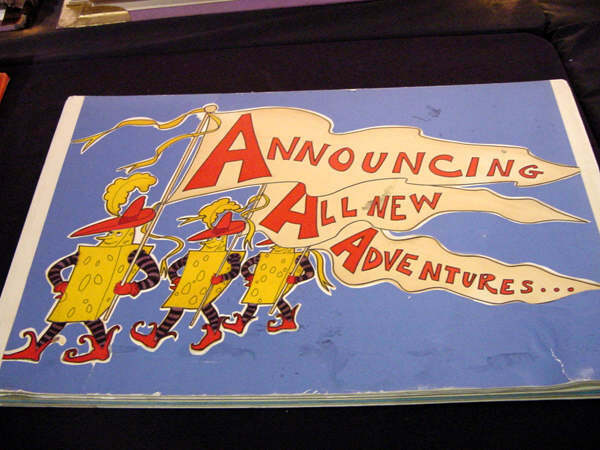 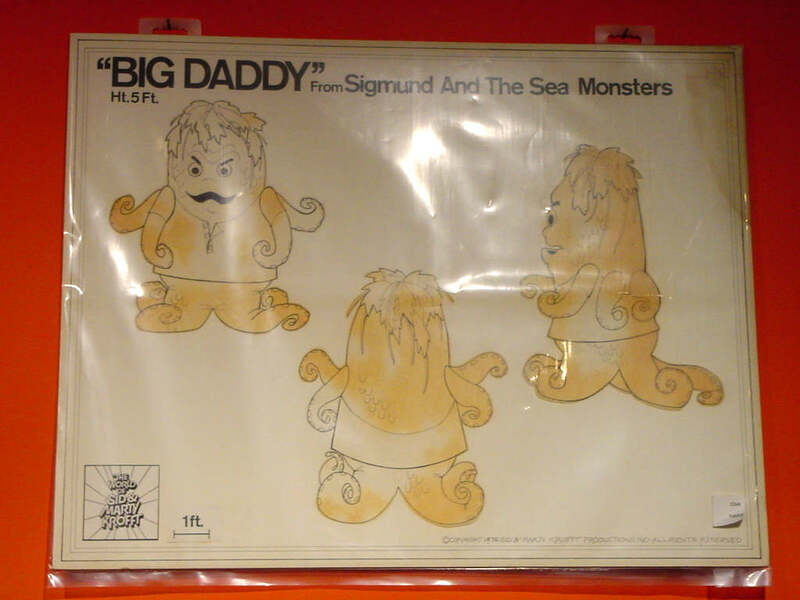 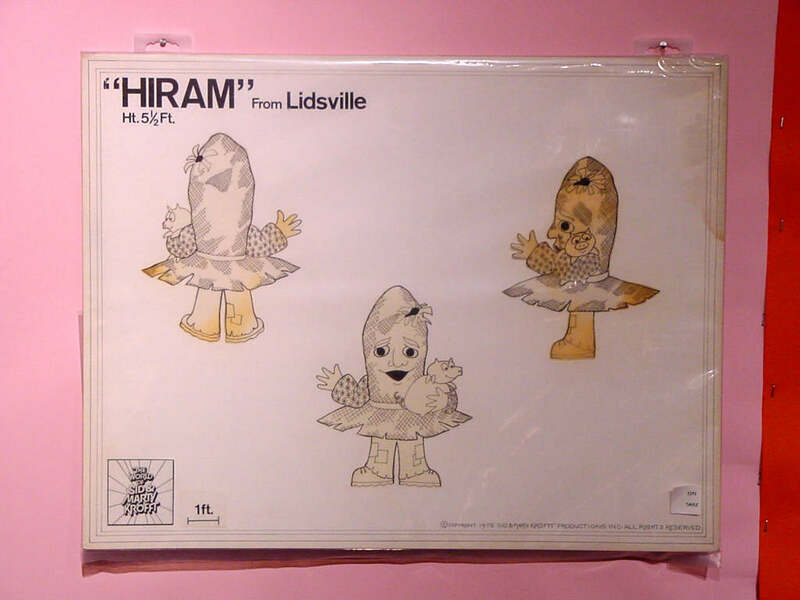 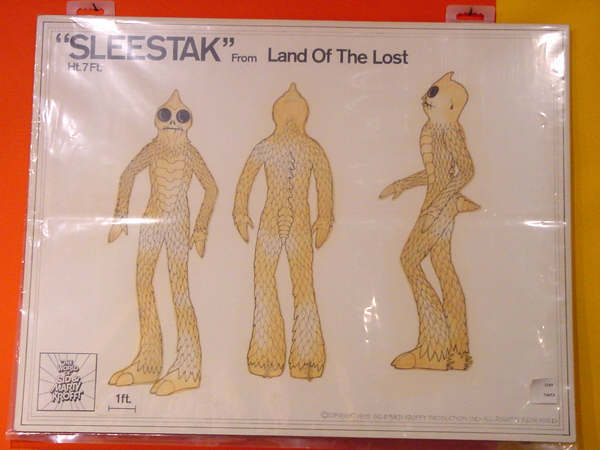 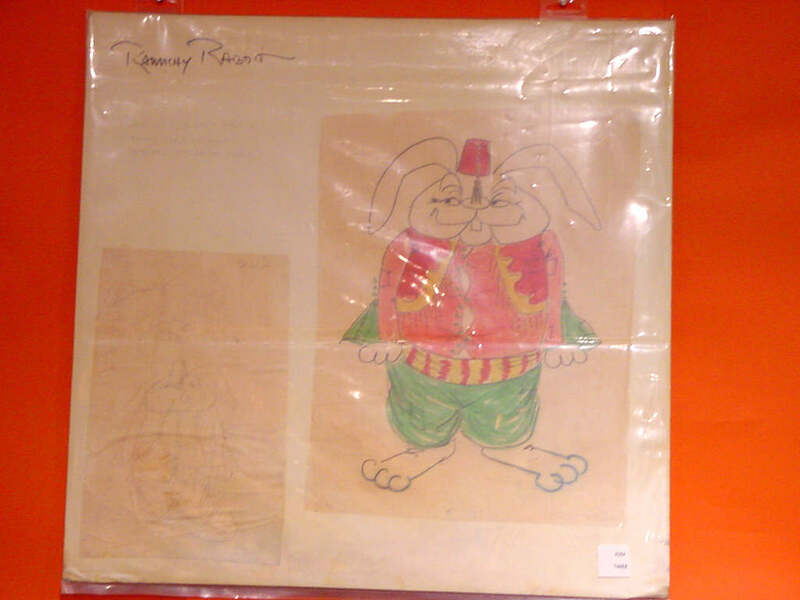 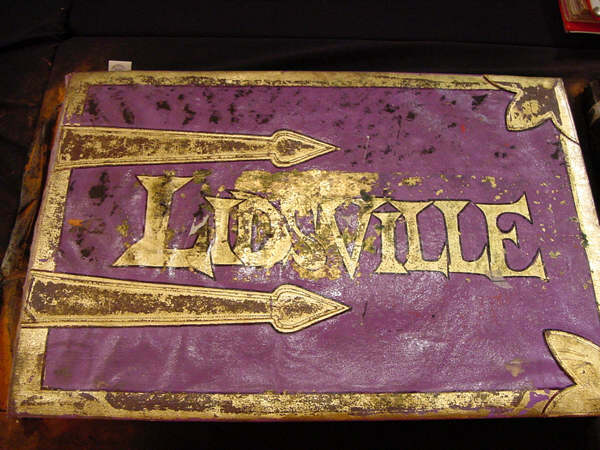 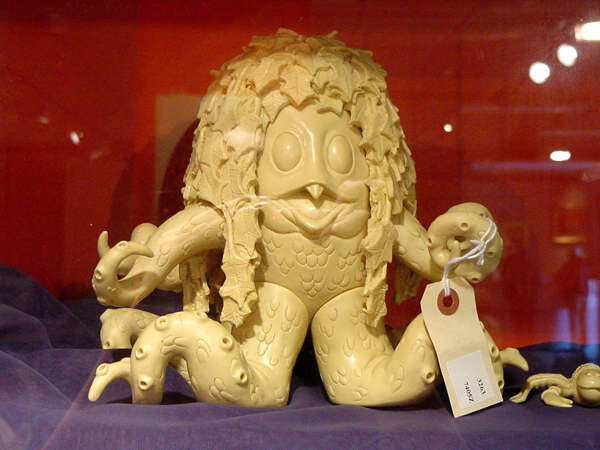 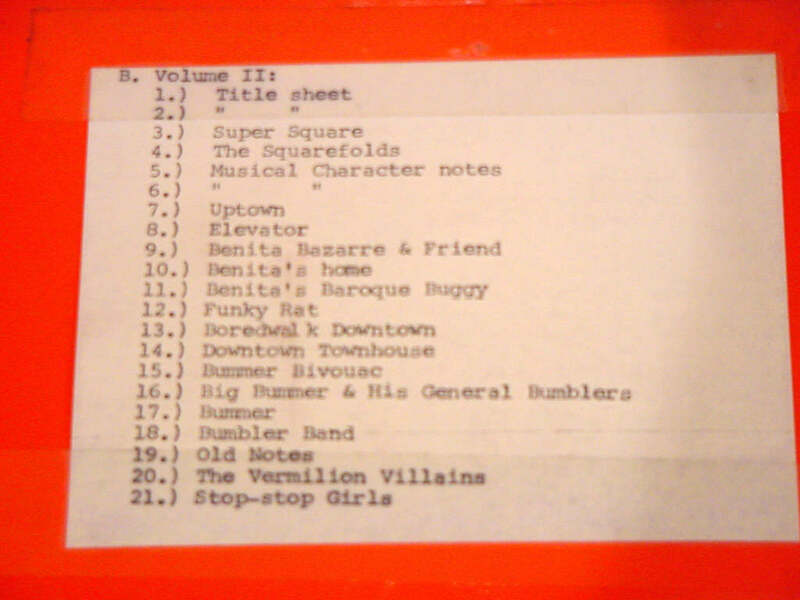 Additionally, the Krofft Auction was the second half of a two-part auction, with the first half being a variety of musical collectibles that were wholly unrelated to the Krofft stuff. 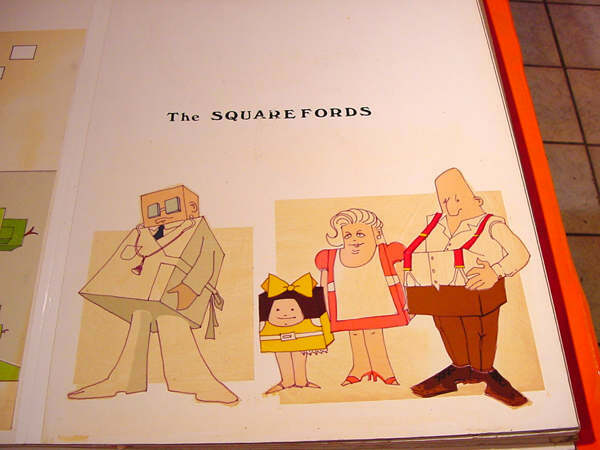 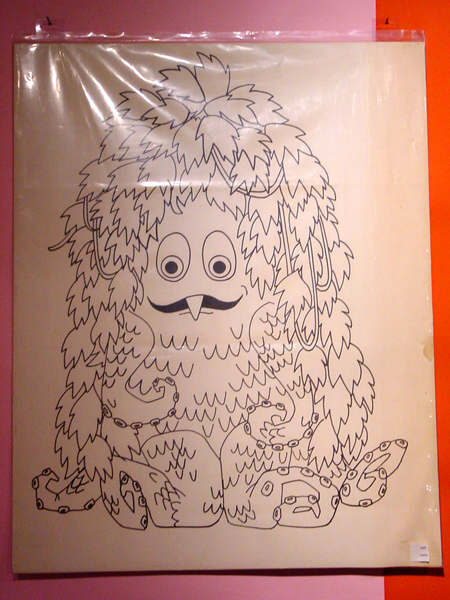 I got the feeling that this was really not what the Kroffts had envisioned for this auction, which will probably mean that there will be another auction sometime in the future. 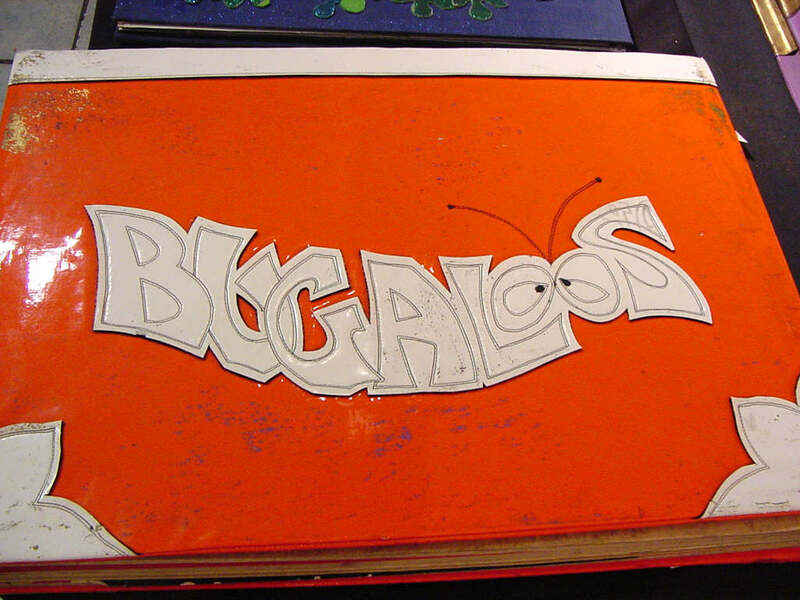 I also believe I heard that there was still *more* stuff in the warehouse that did not make it to this auction, so maybe we'll see even more Bugaloos items, next time. 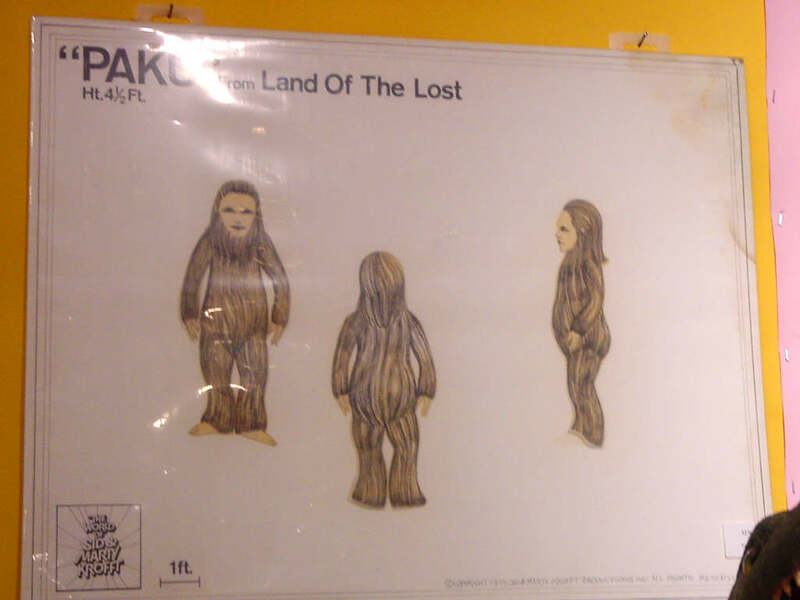 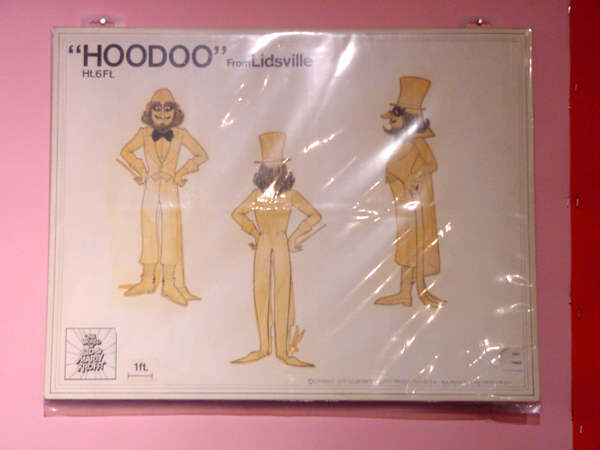 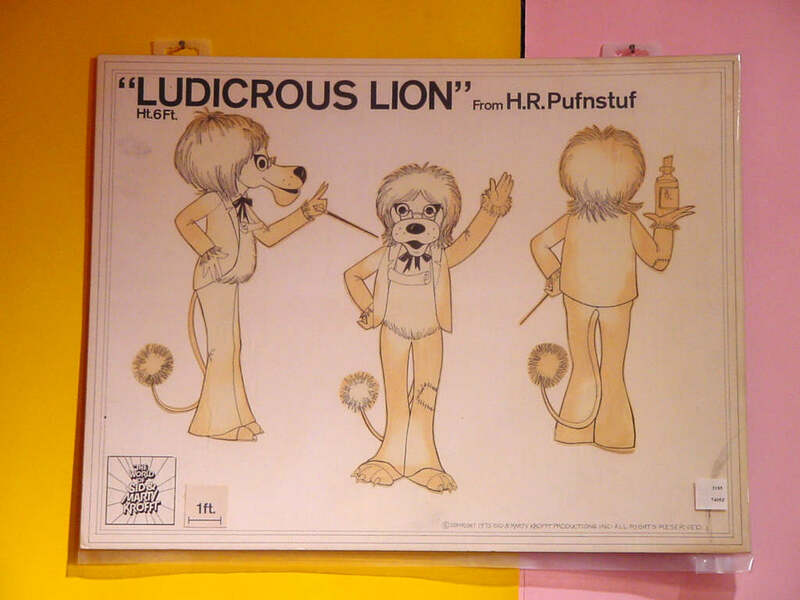 That said, it was still a room filled with Krofft collectibles, and I had brought along my digital camera with the intent of taking as many pictures as possible. 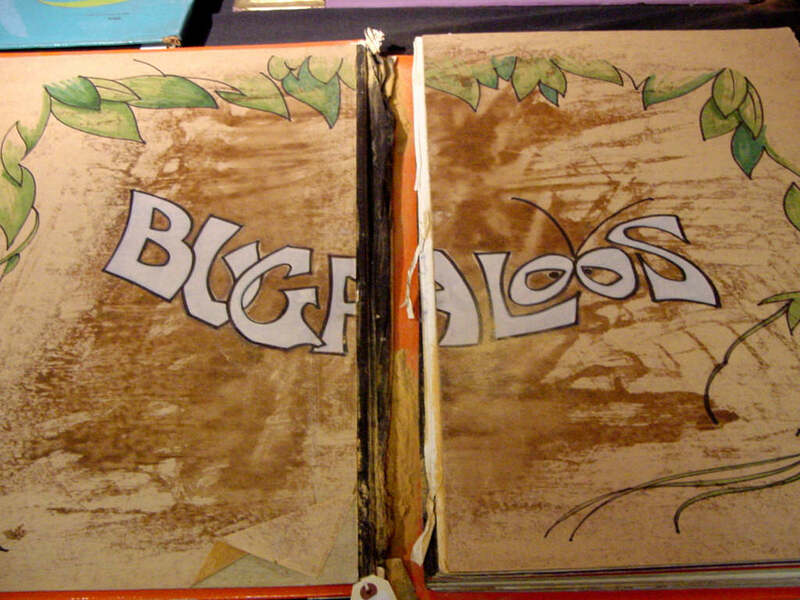 Eventually, I ran out of storage ... but I did my best to get some good overall coverage. 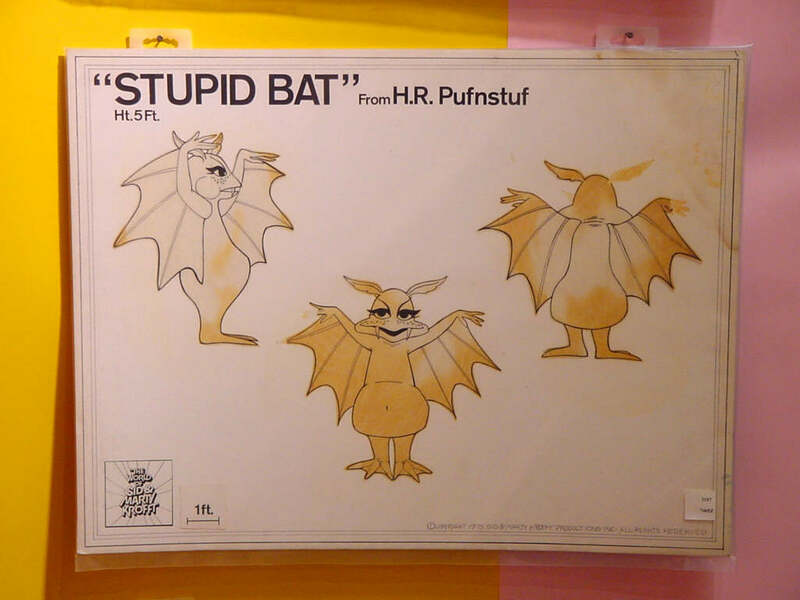 As you probably expected, though ... I tended to focus on the Bugaloos related stuff. 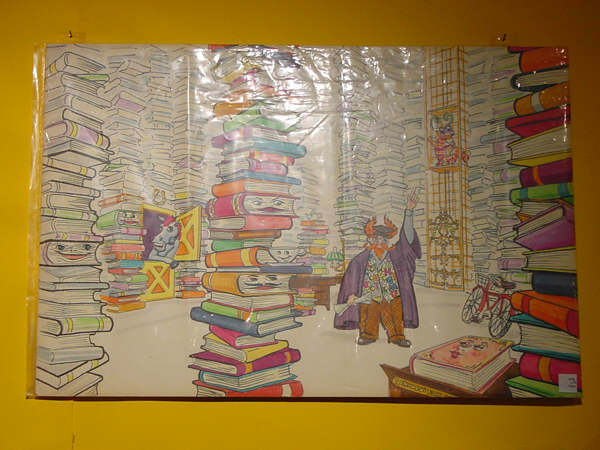 Many of the pictures are artwork items that were hanging on the wall. 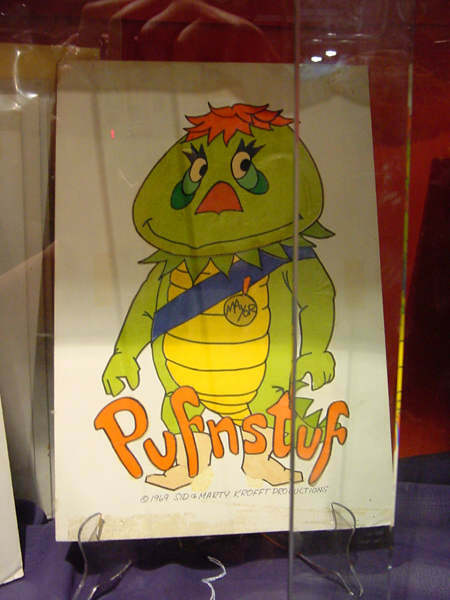 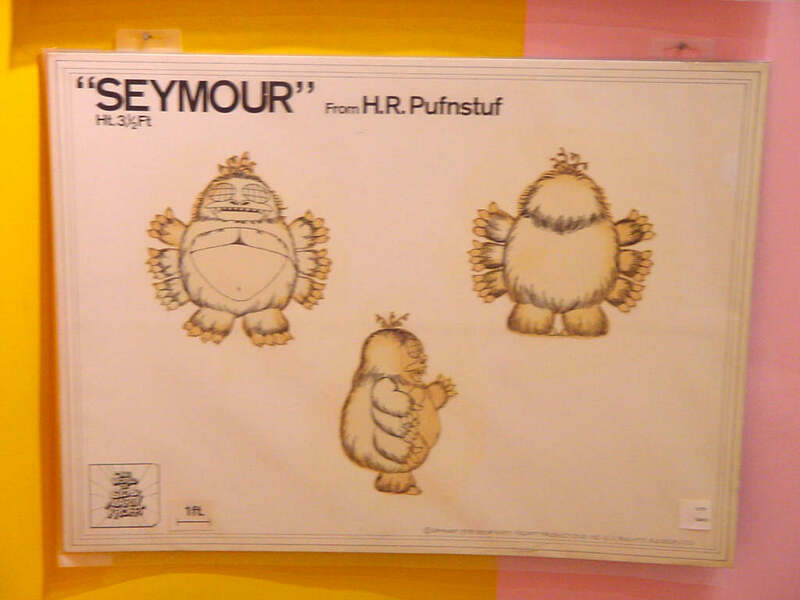 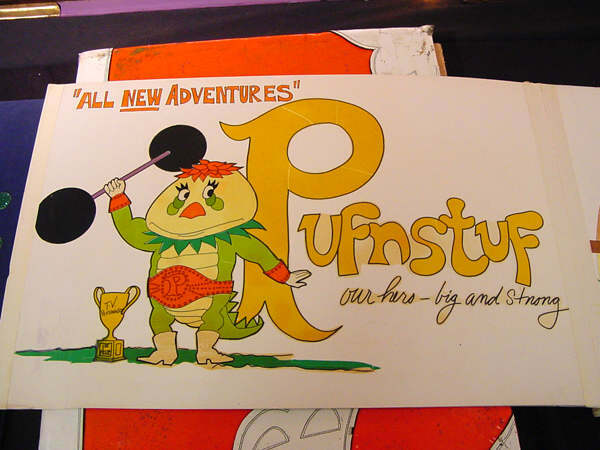 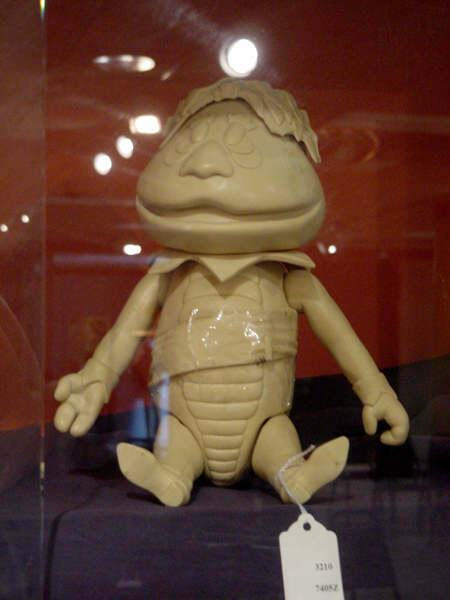 A few were Pufnstuf figurines stored behind glass. 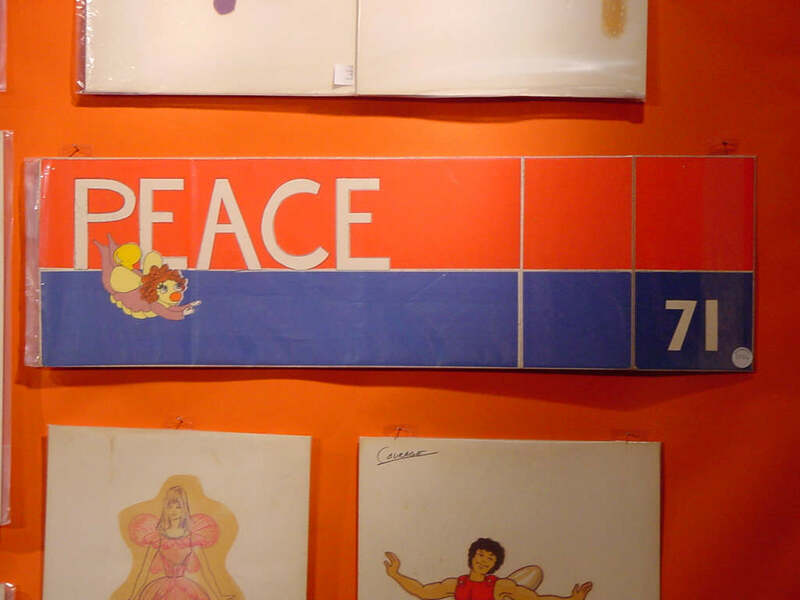 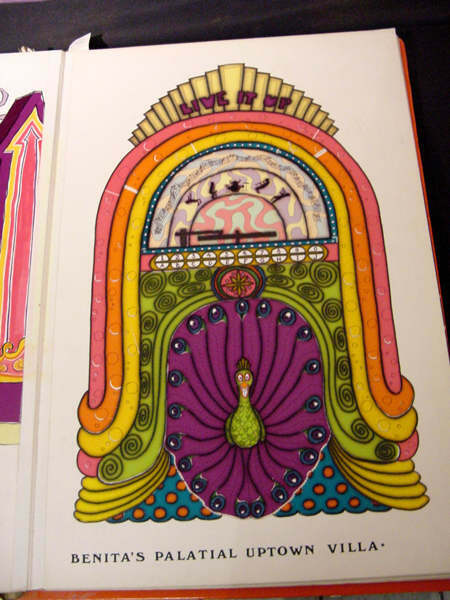 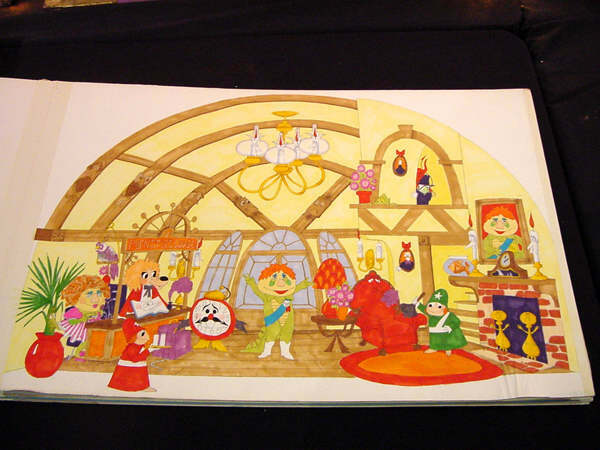 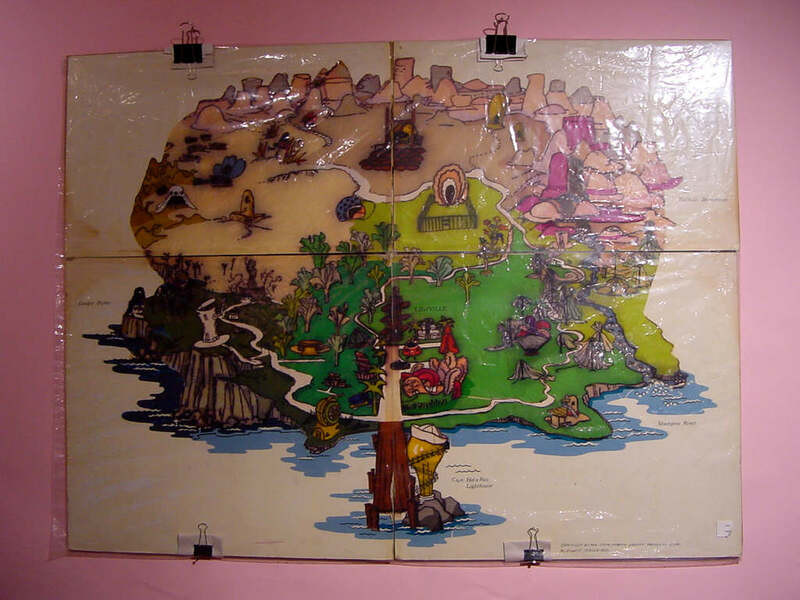 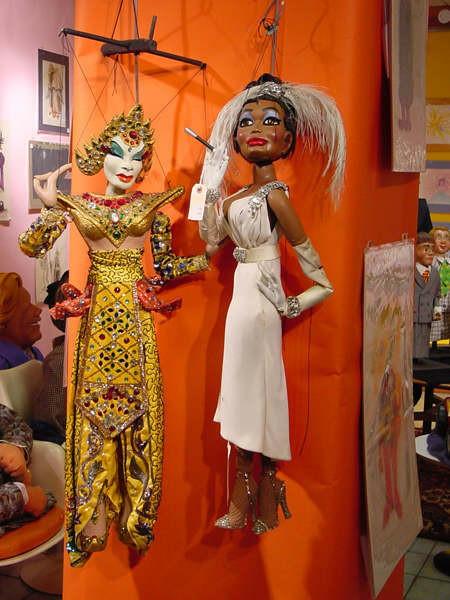 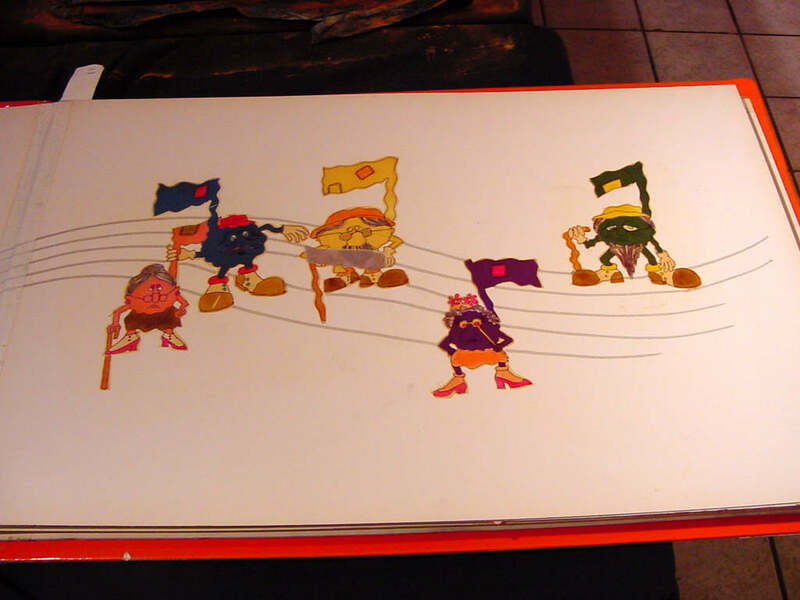 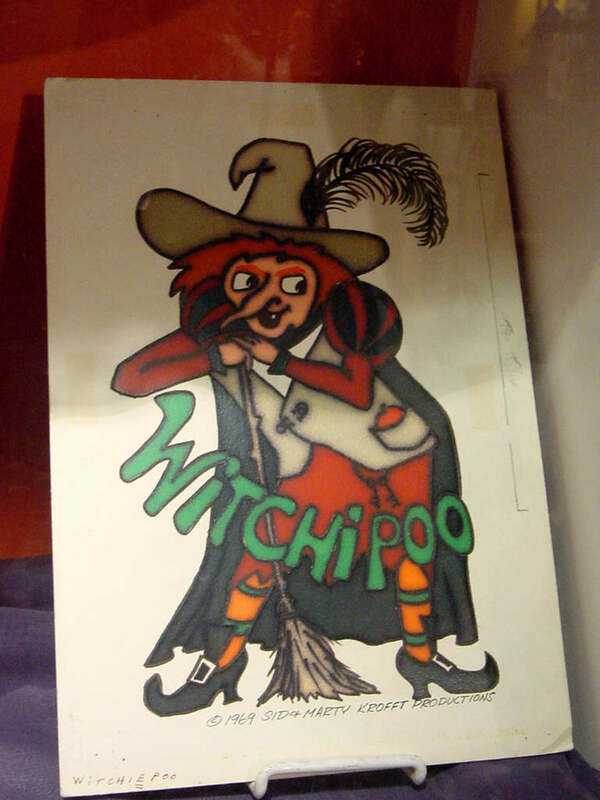 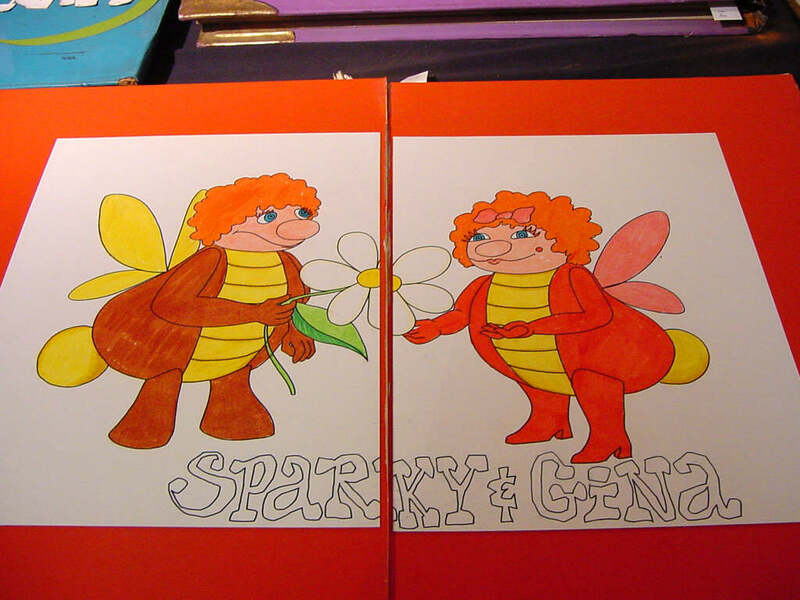 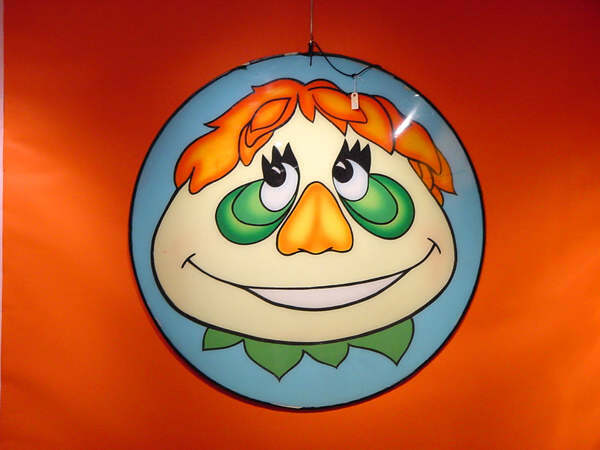 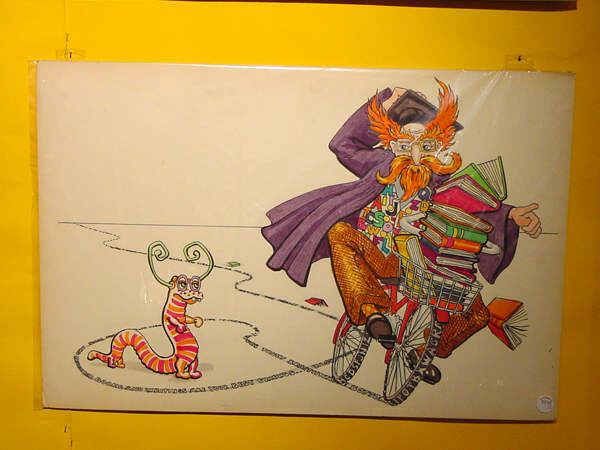 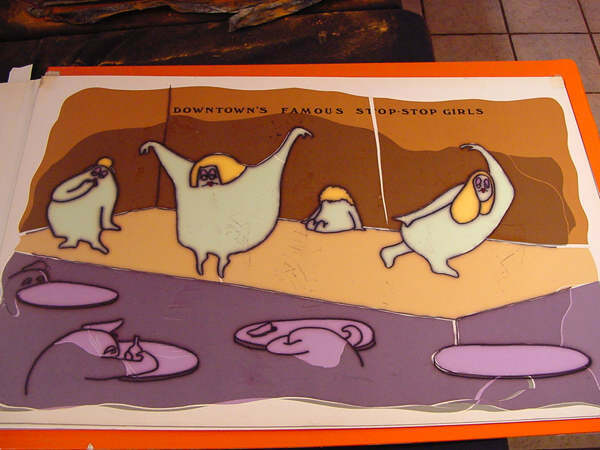 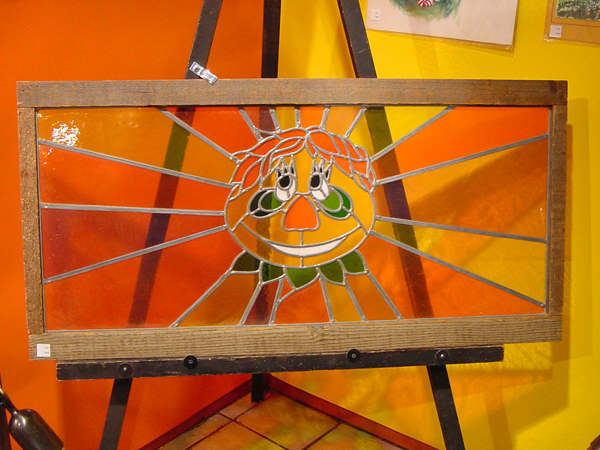 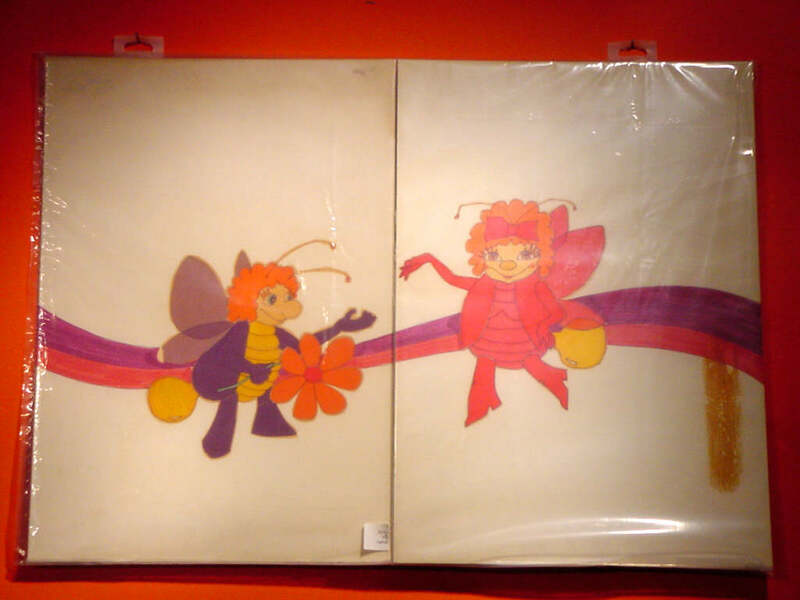 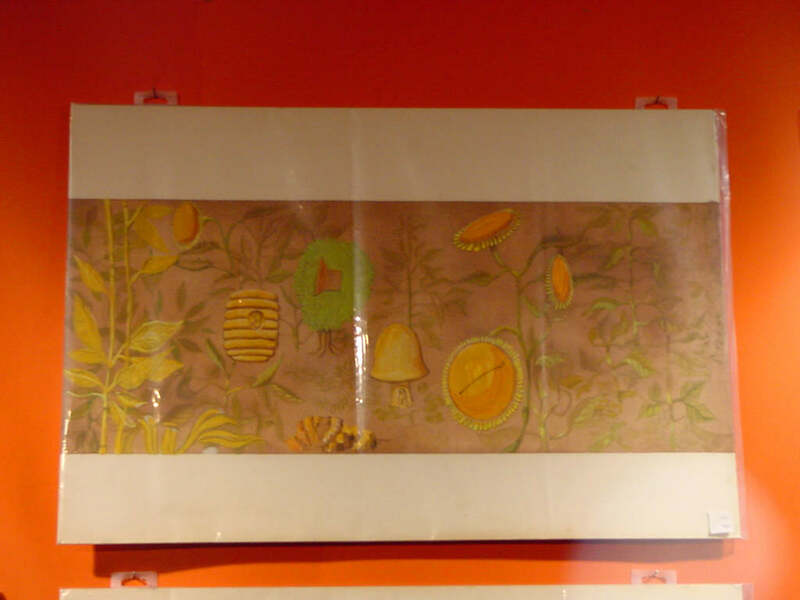 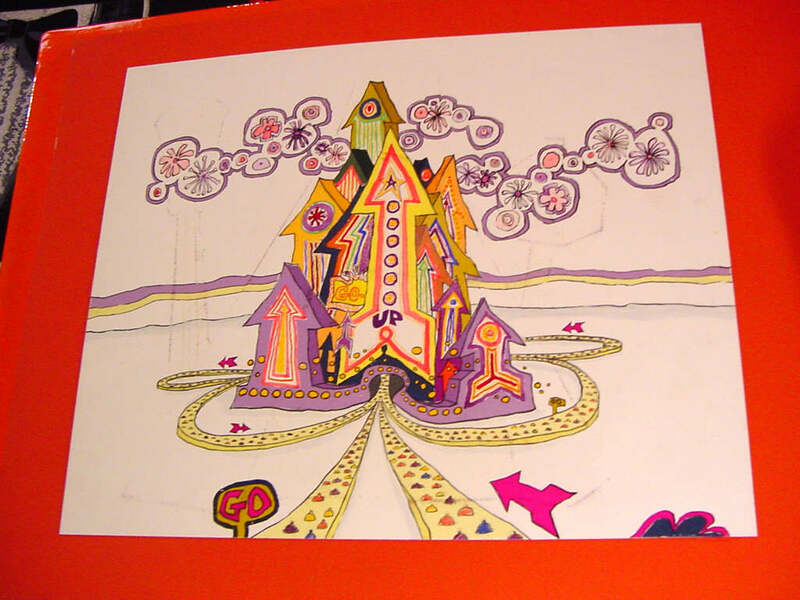 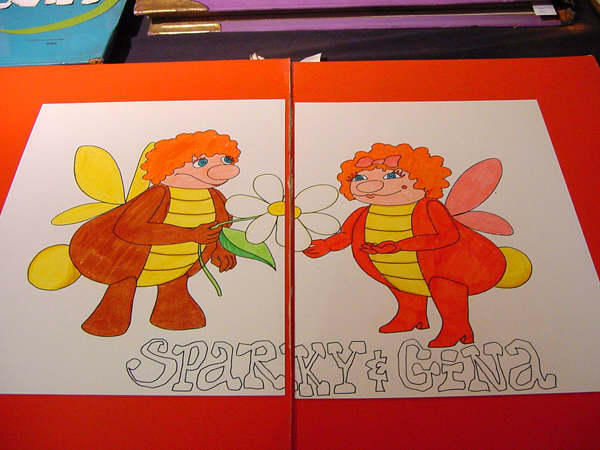 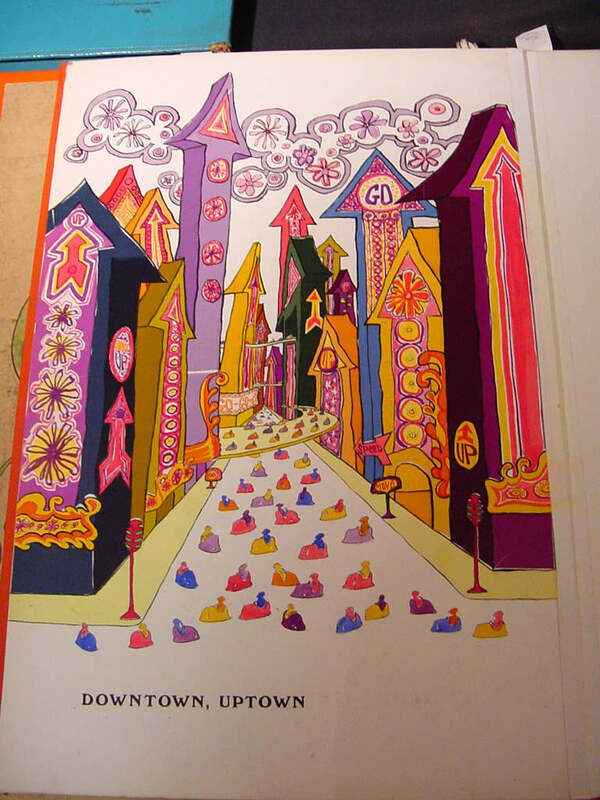 Two were rather breathtaking pieces of Pufnstuf artwork done in stained or painted glass. 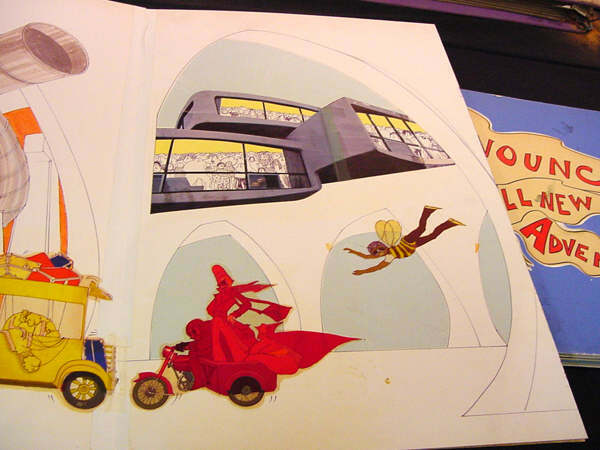 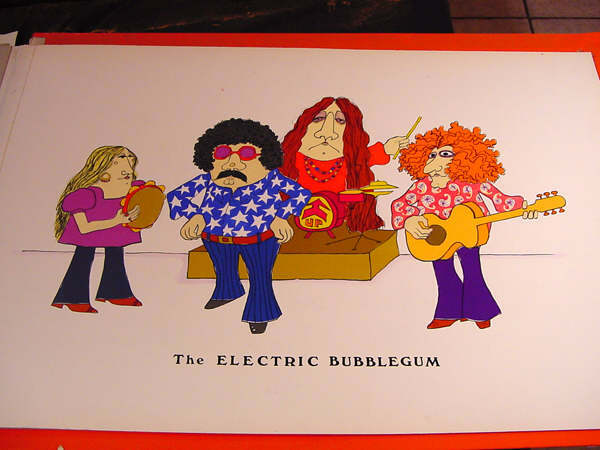 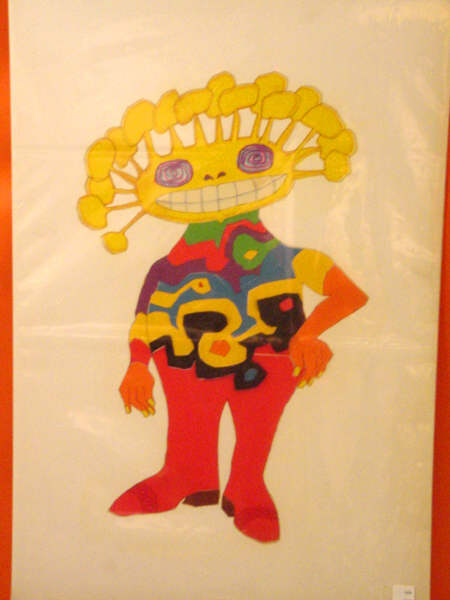 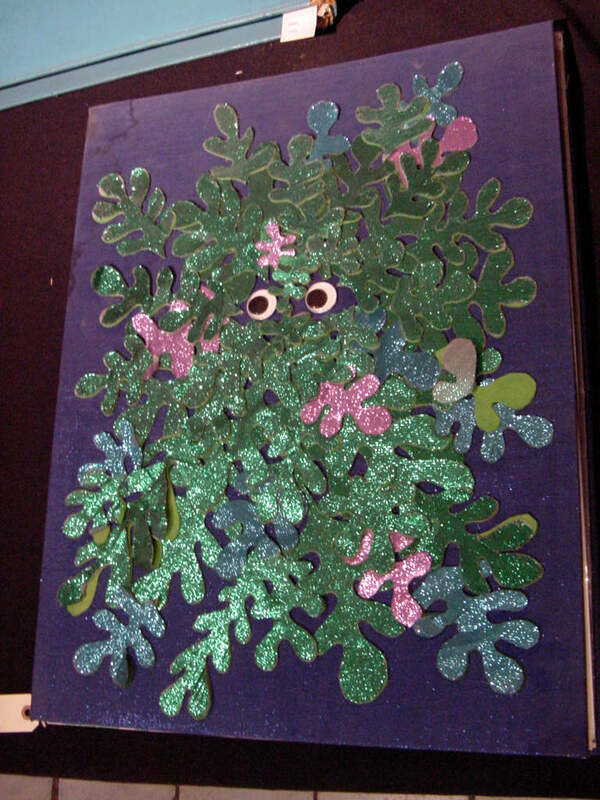 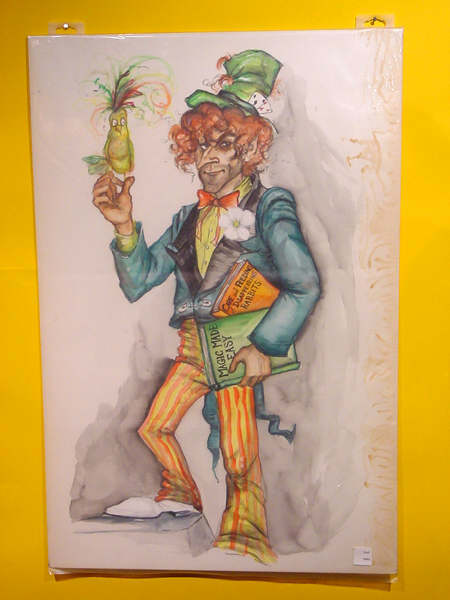 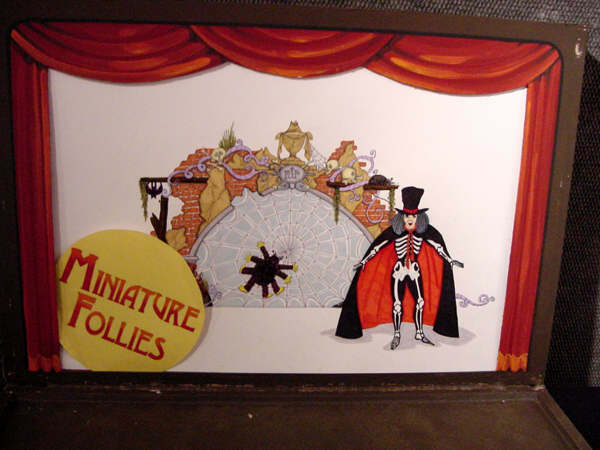 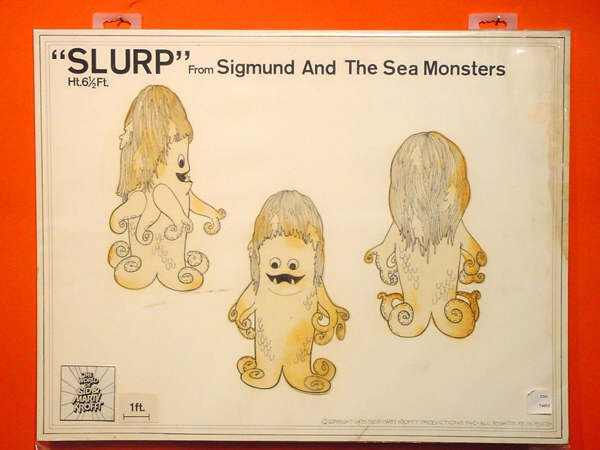 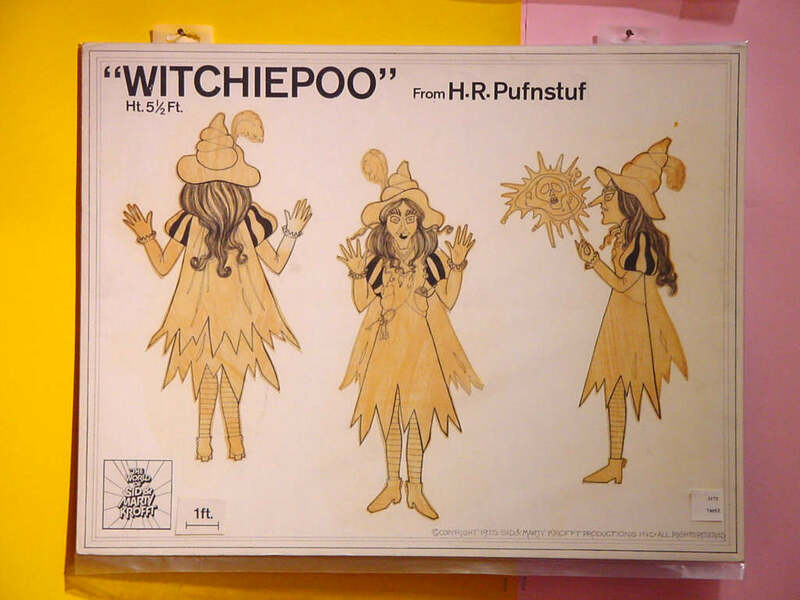 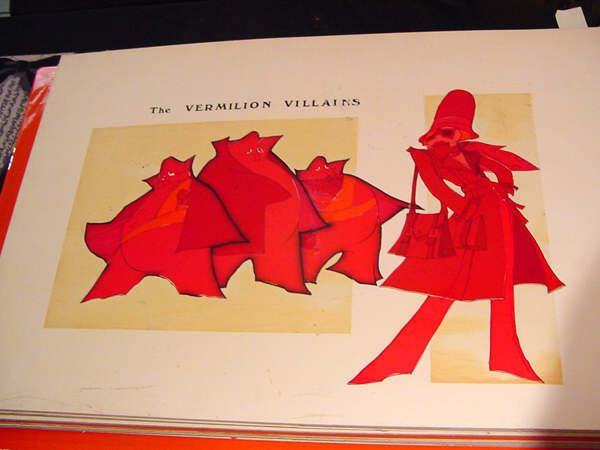 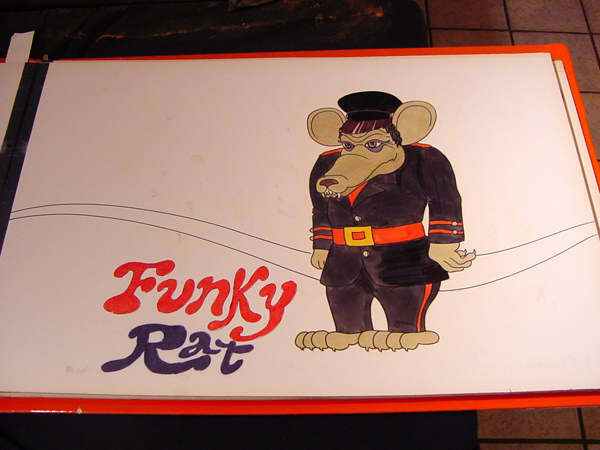 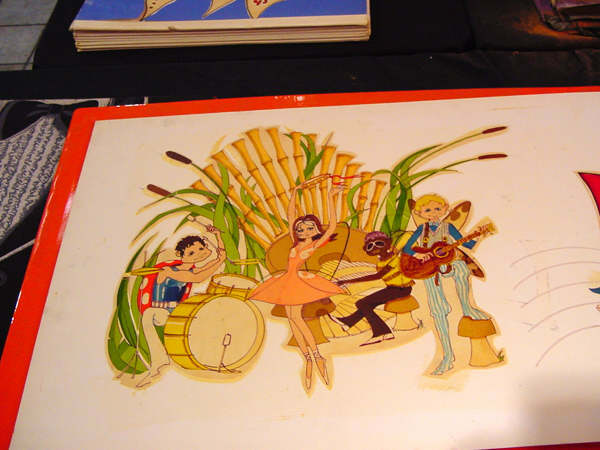 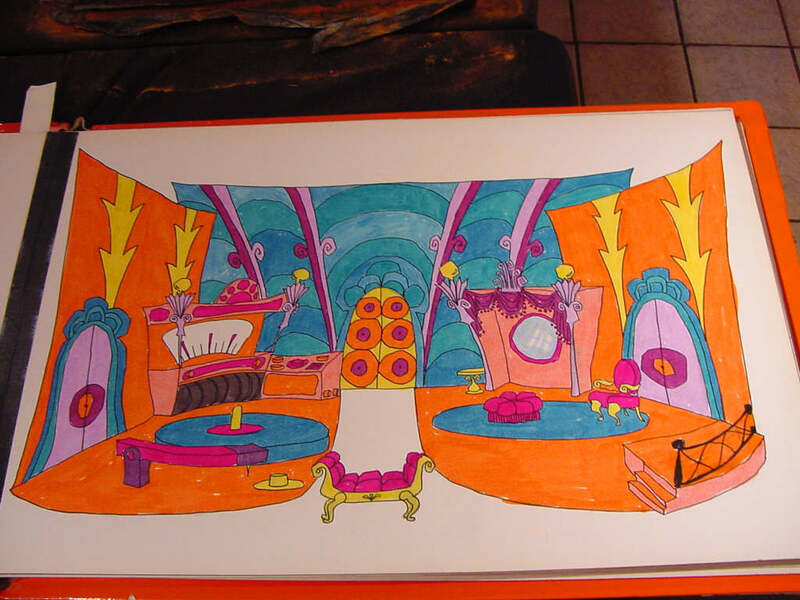 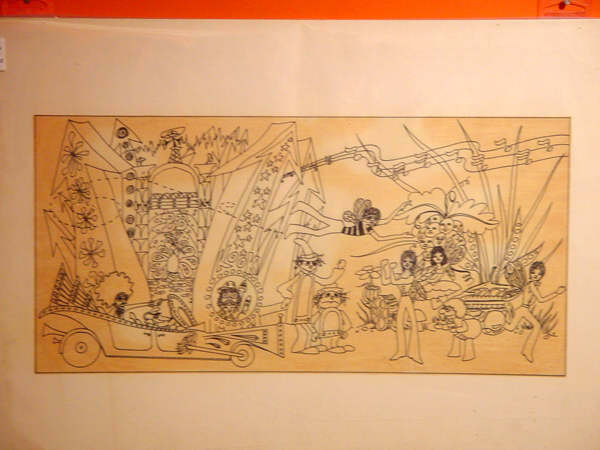 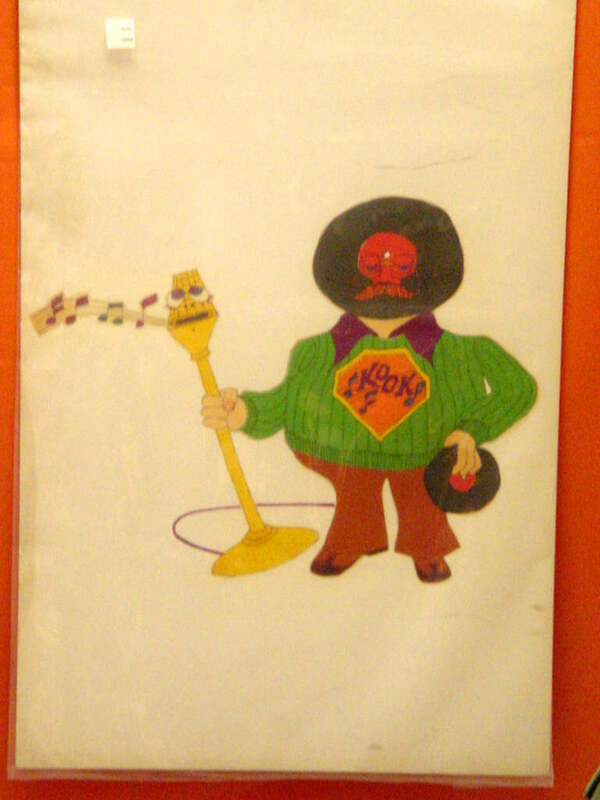 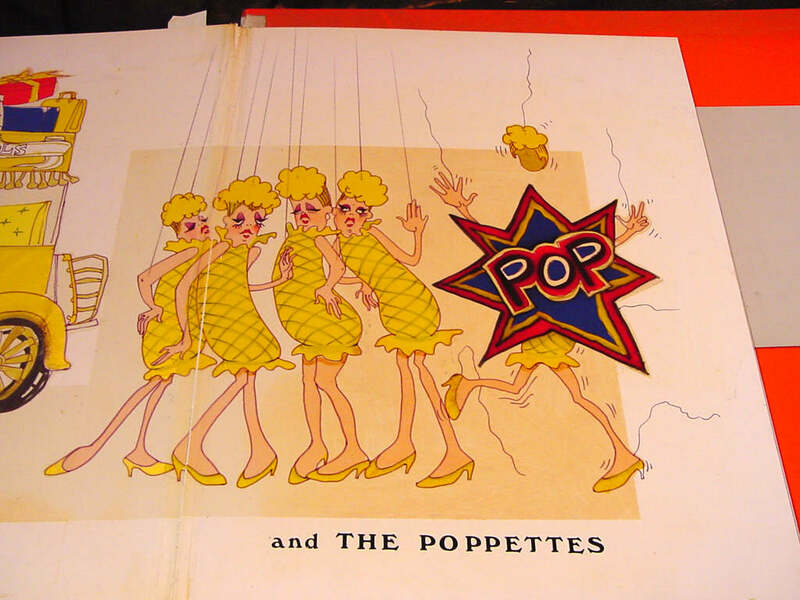 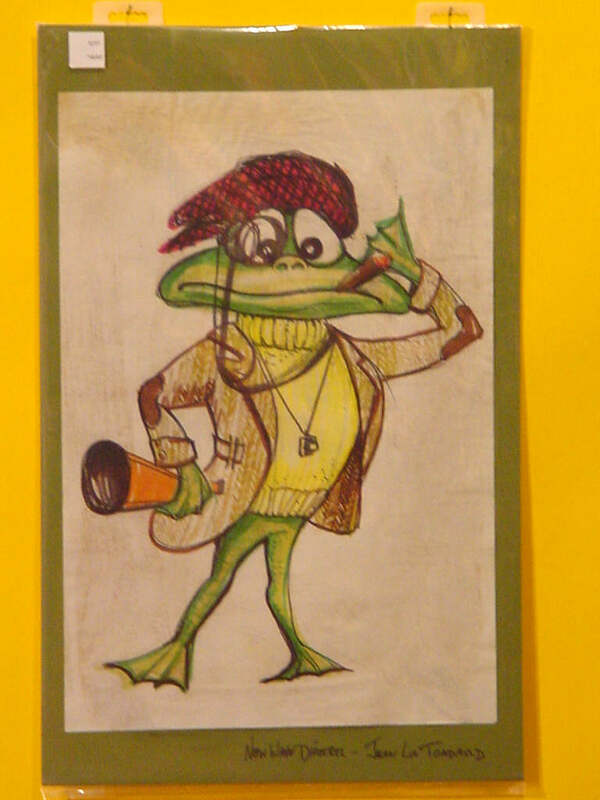 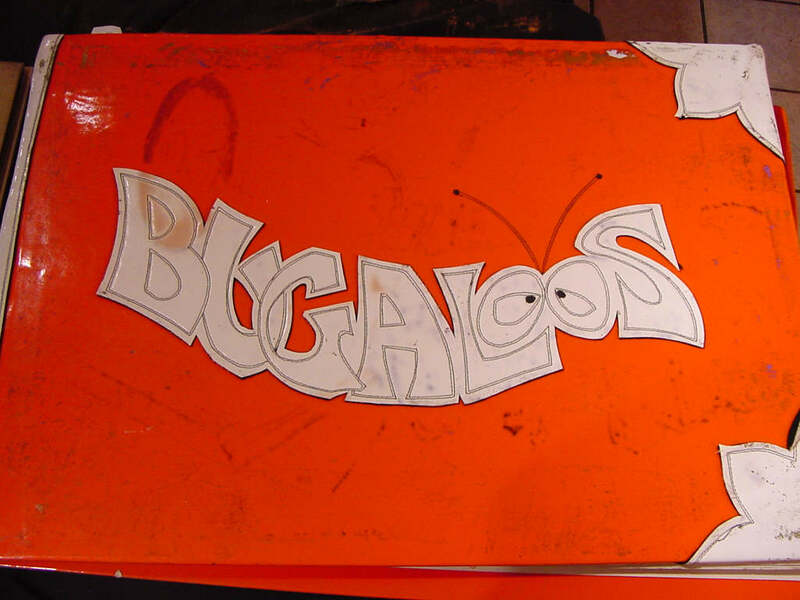 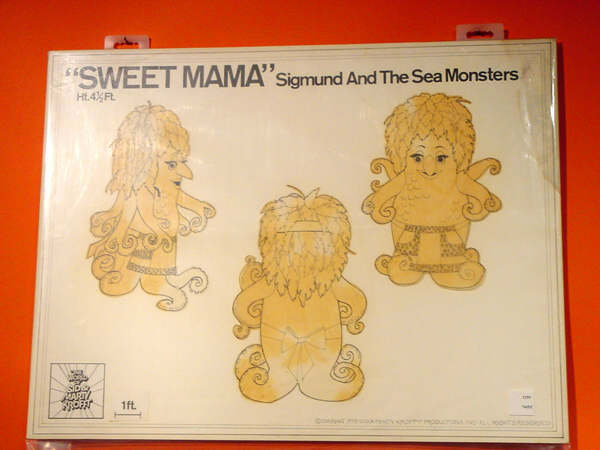 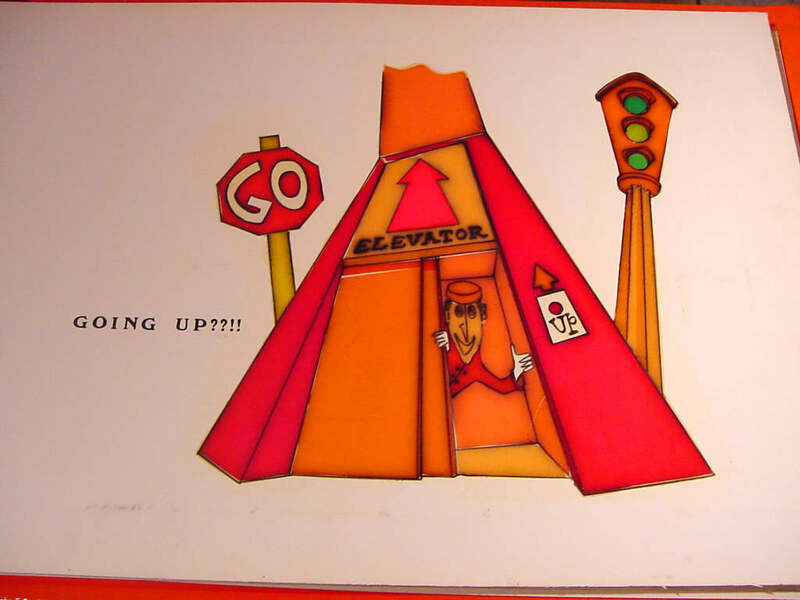 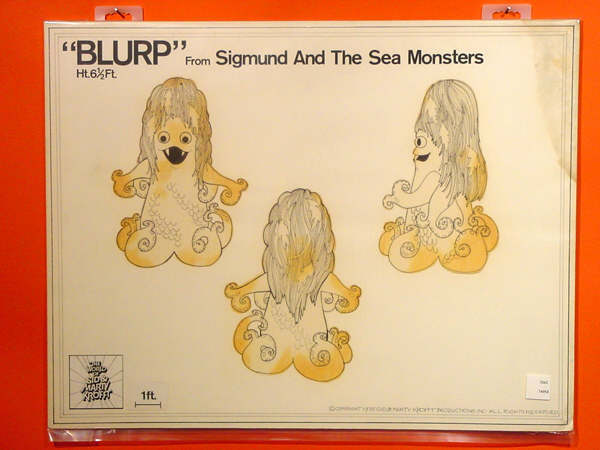 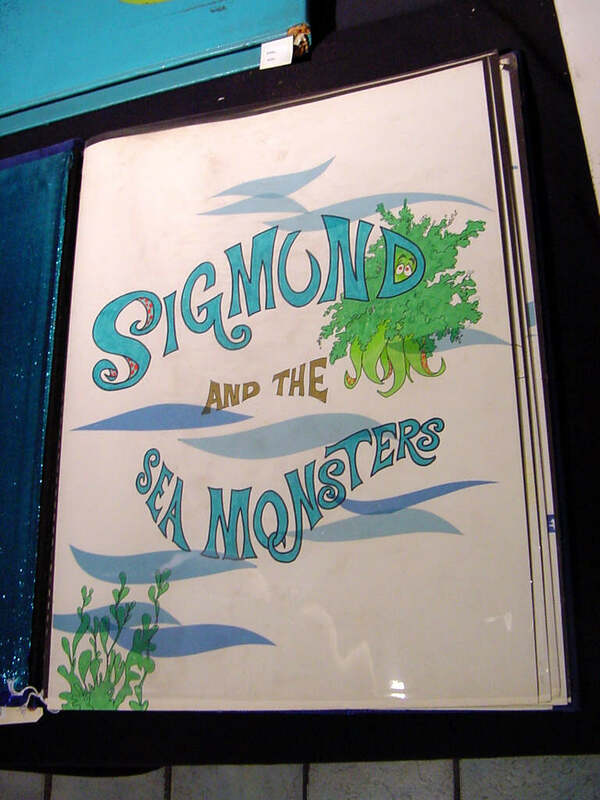 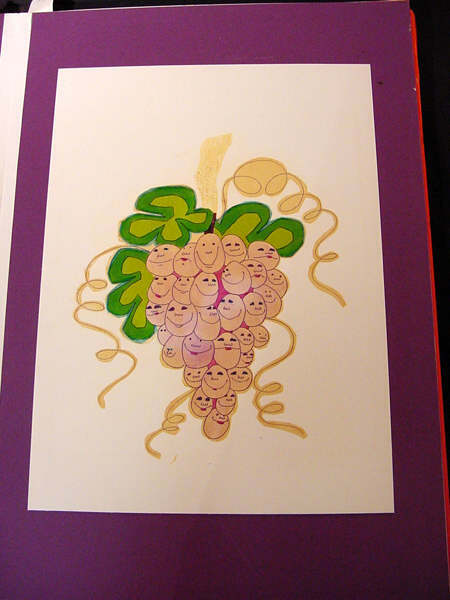 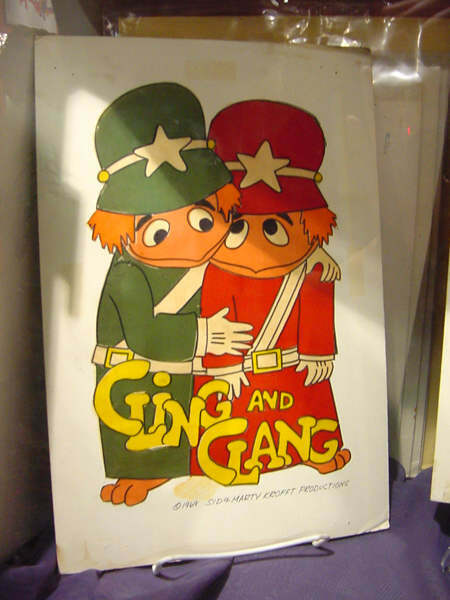 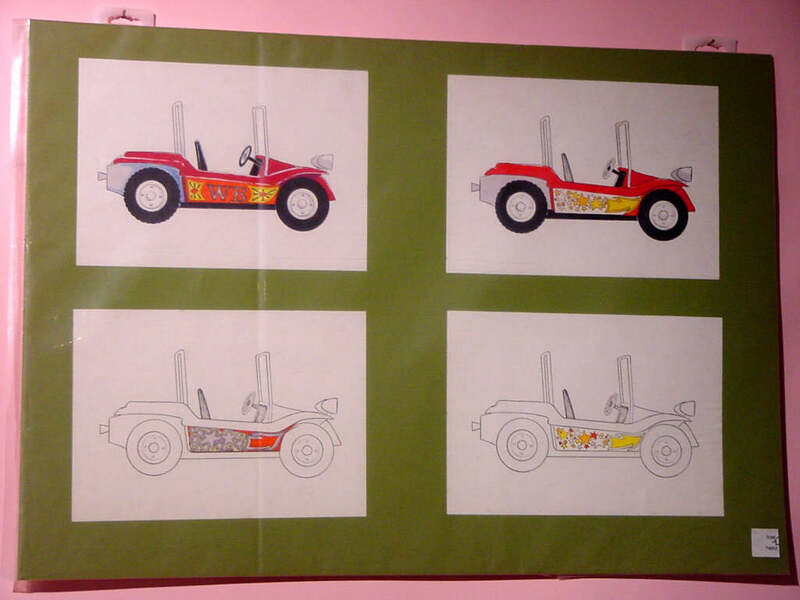 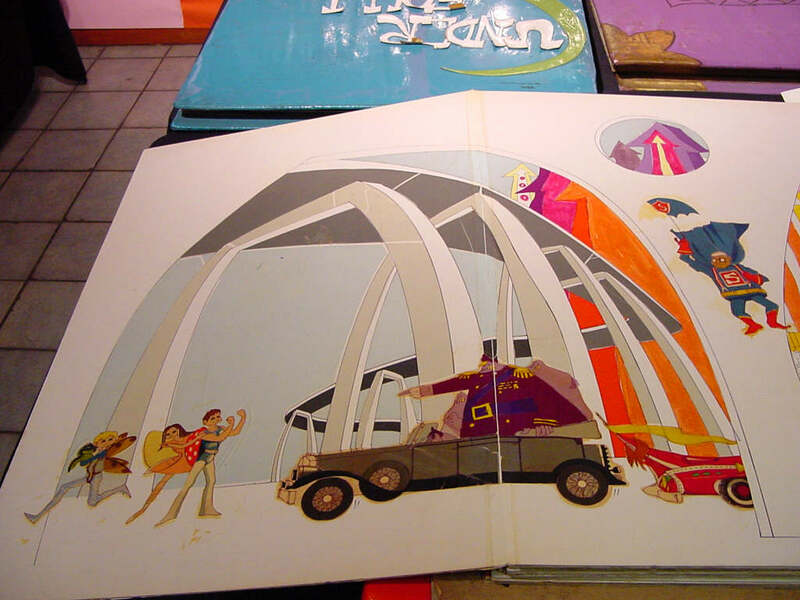 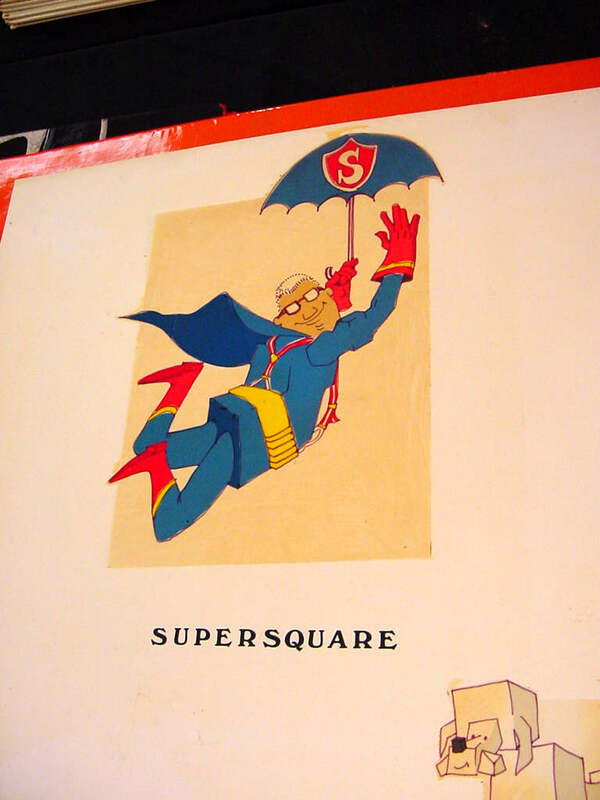 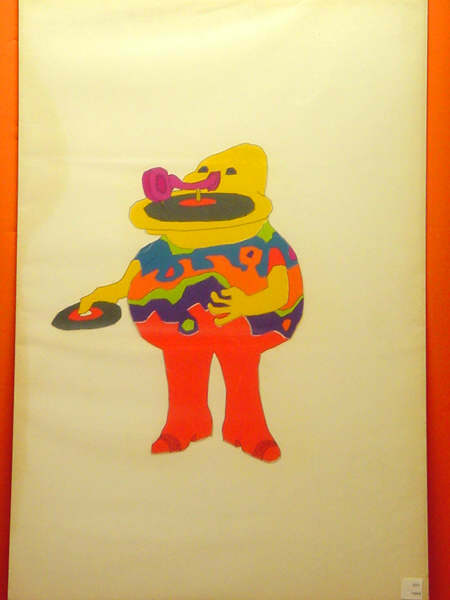 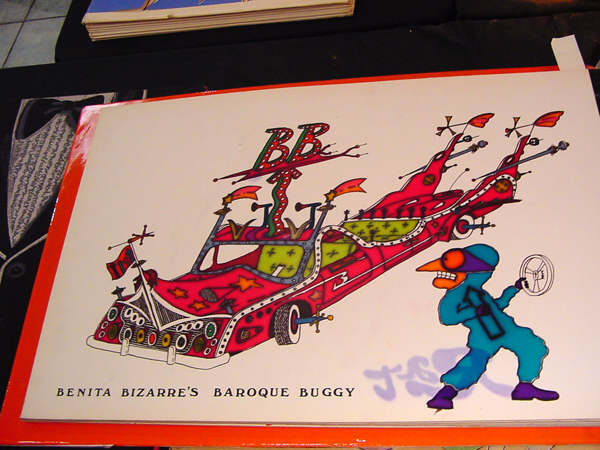 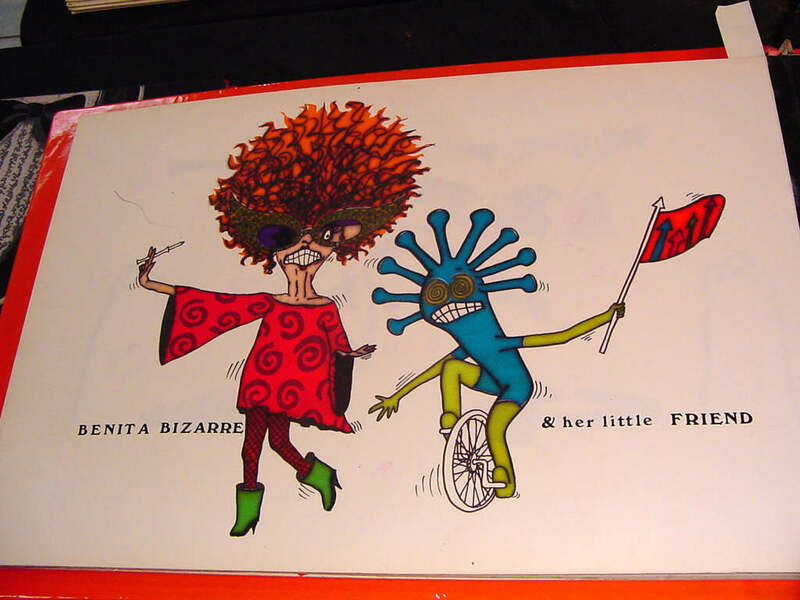 I really wish there was some similar Bugaloos artwork ... maybe they're in the far back of the Krofft warehouse. Hey, it could happen!! 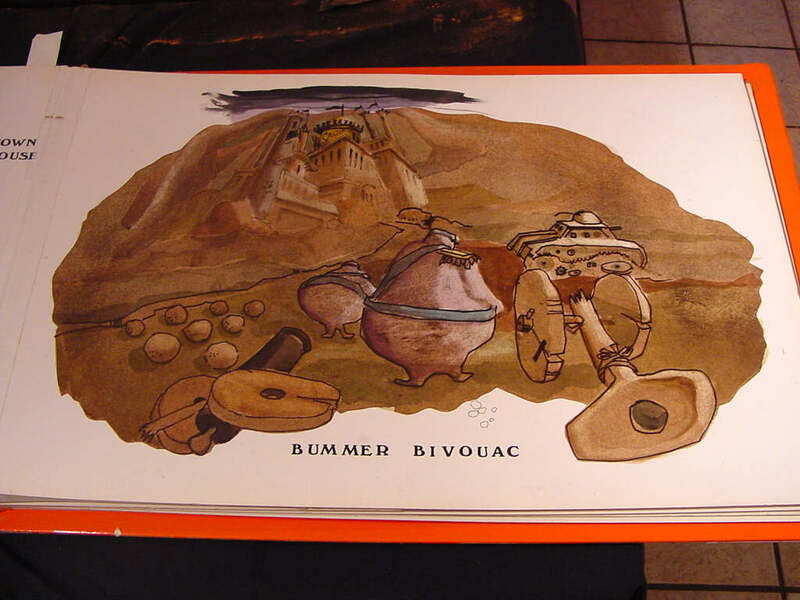 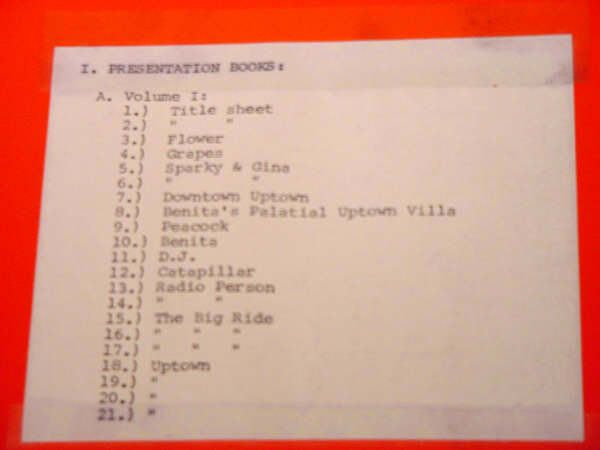 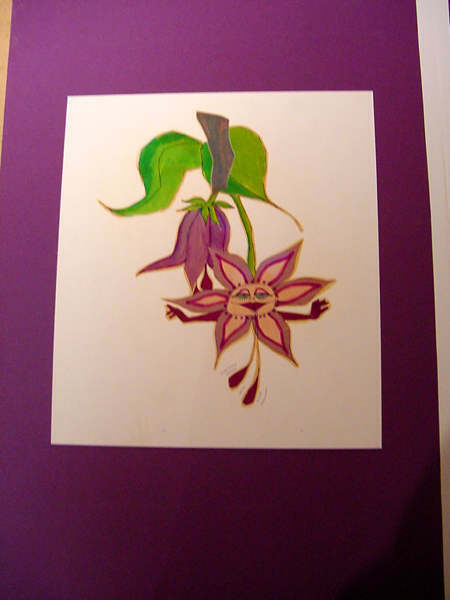 So, the first 38 pictures below, are from the two Bugaloos pitch books (sold as a set) ... and are placed as "in order" as I could manage, based on the little "Table of Contents" posted in each book. 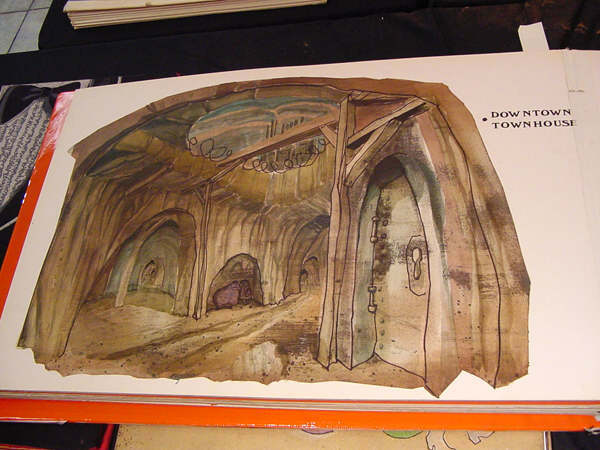 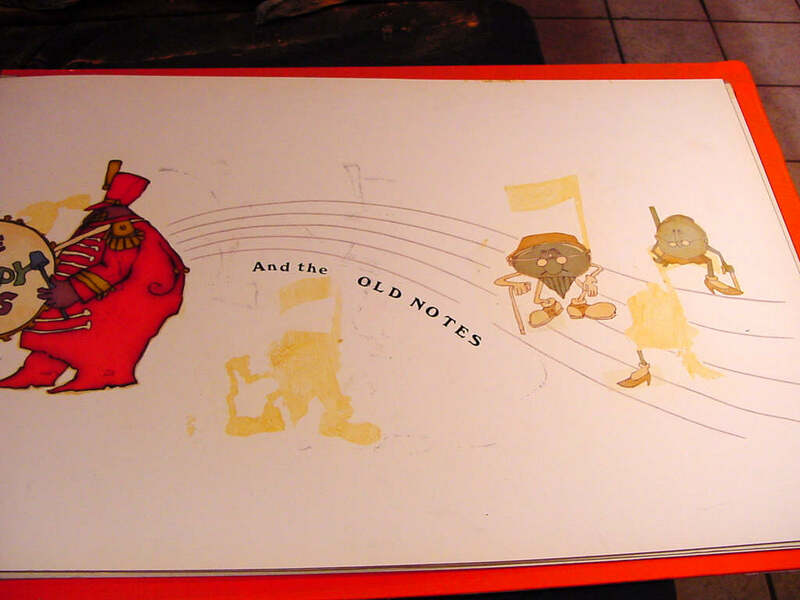 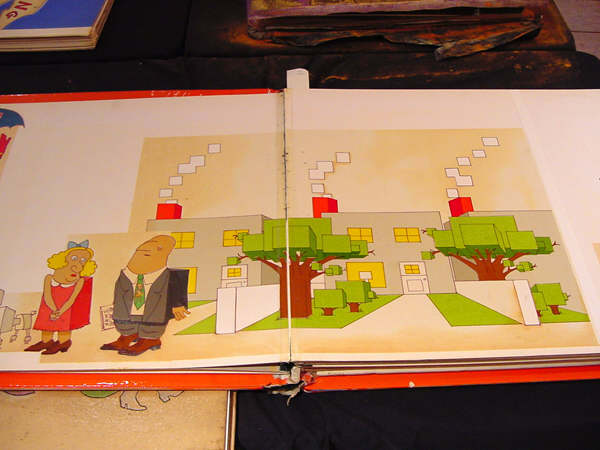 I know some images appear to be missing, but I honestly don't know if they simply weren't in the book, or if I somehow skipped those pages. 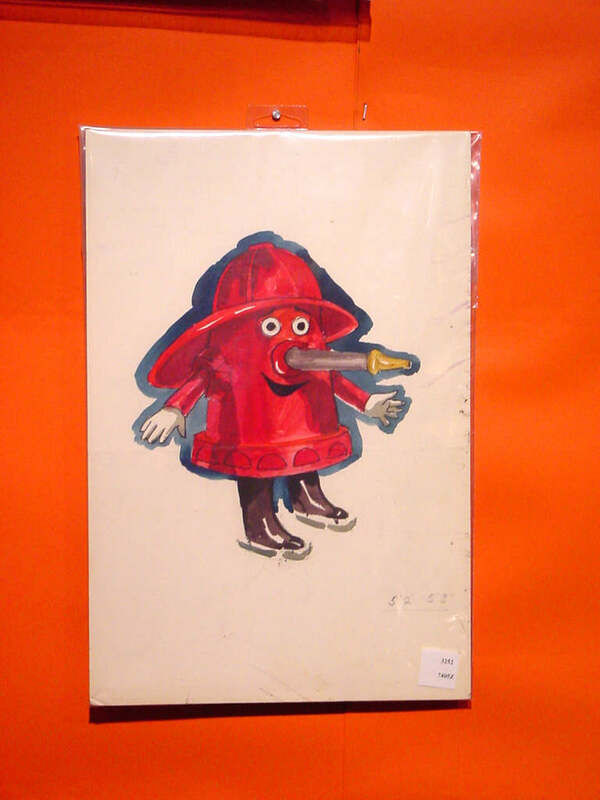 In general, if you saw the listings on E-Bay, then you may have seen some of these images already. Perhaps I got a different angle for some items, or maybe a better resolution than E-Bay provides. 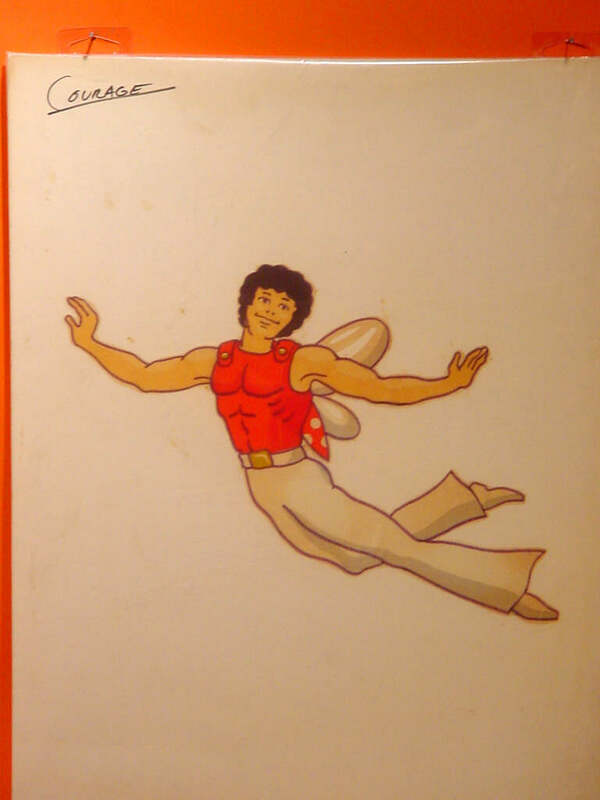 By the way ... 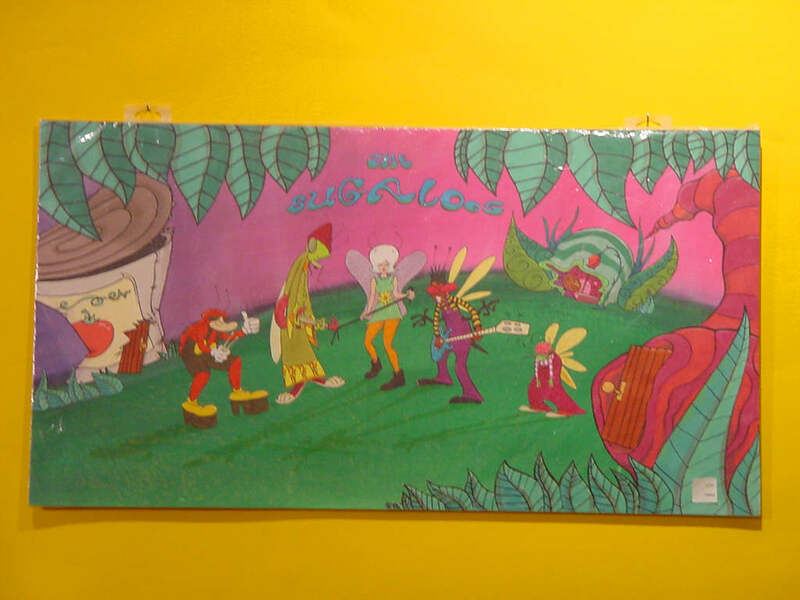 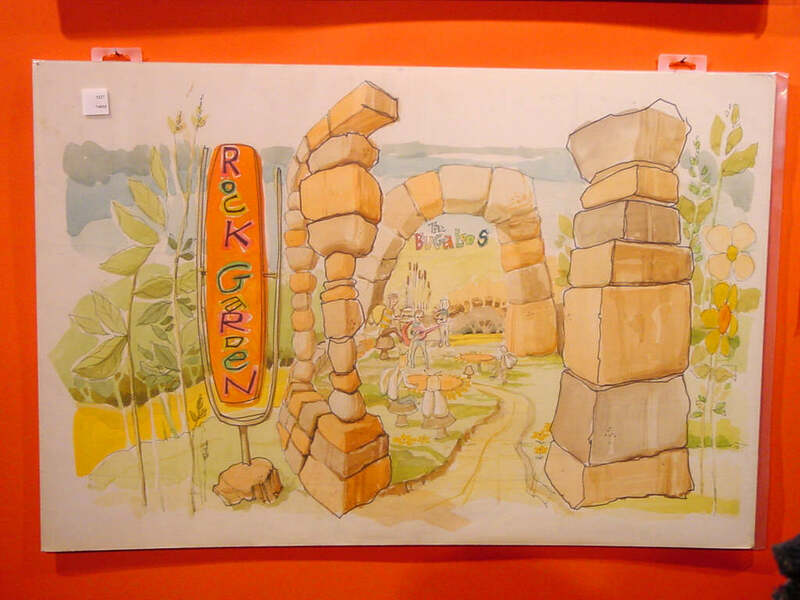 I did manage to snag the Bugaloos Rock Garden, which was later signed by both Sid and Marty Krofft. 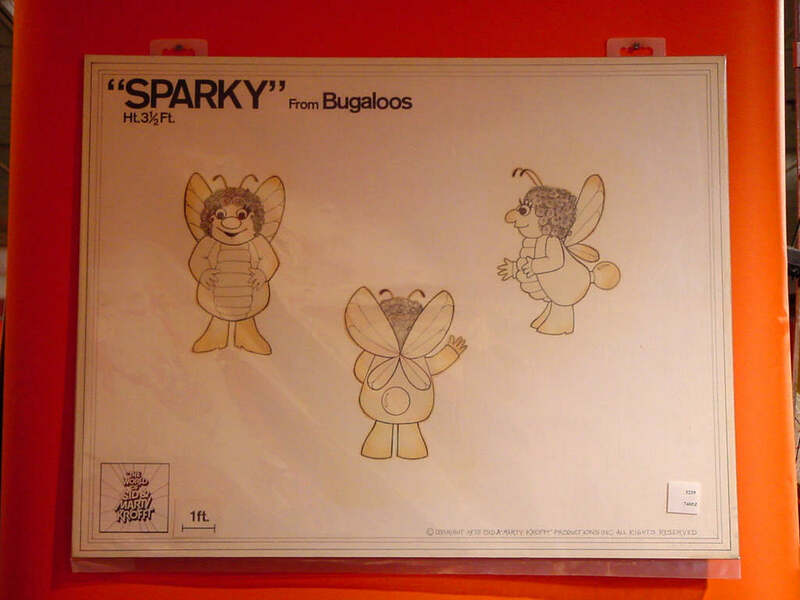 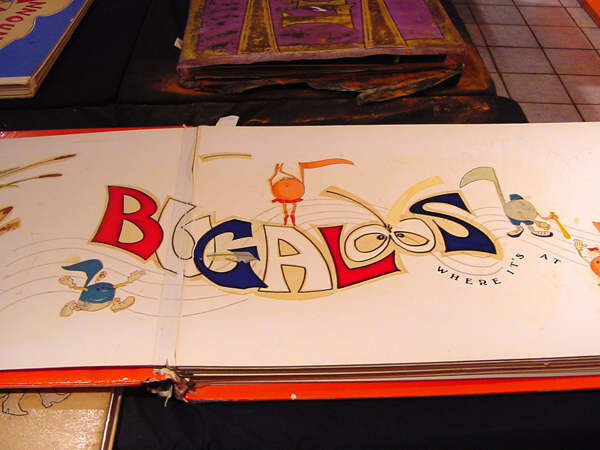 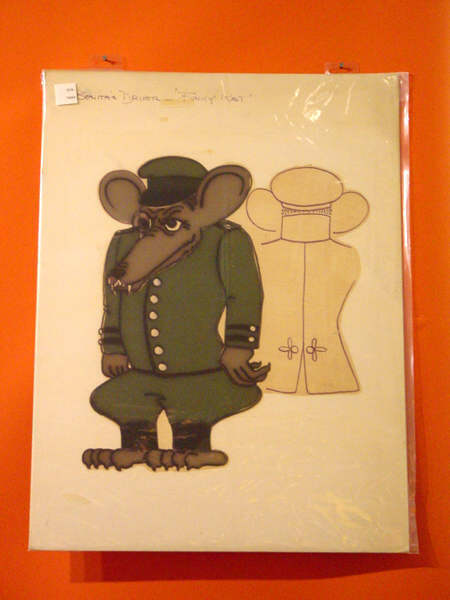 Also, the coveted Bugaloos Scripts went to Sandy Johnson ... the webmaster of Fly Away With Us, and the owner of the largest Bugaloos collection in the world. If you want a gander at what's in the Bugaloos scripts, please visit her site!! 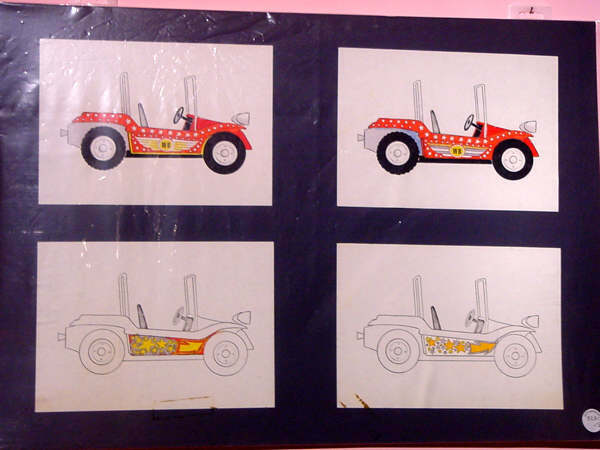 Last ... the images!! What follows is a rather new format for images here on Tranquility Forest. This is primarily because of the large volume of images, and the desire to get them up here quickly. It's also a little easier to skim through. 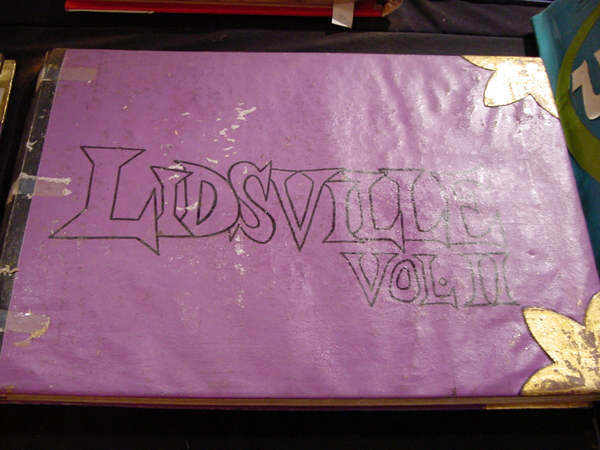 I'm not sure if the rest of the site will someday include thumbnails ... it would certainly be nice, but it will probably stay a "wishlist" item for the foreseeable future.